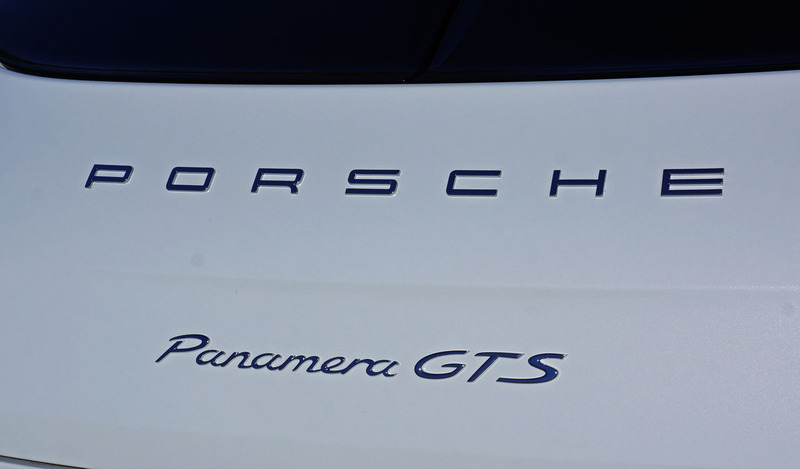 yet no heavier than the current version, you’d think sales of the 2016 model would’ve dried up, but not so. 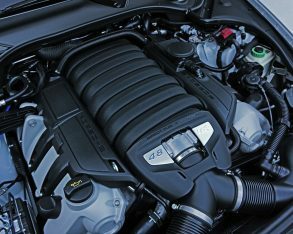 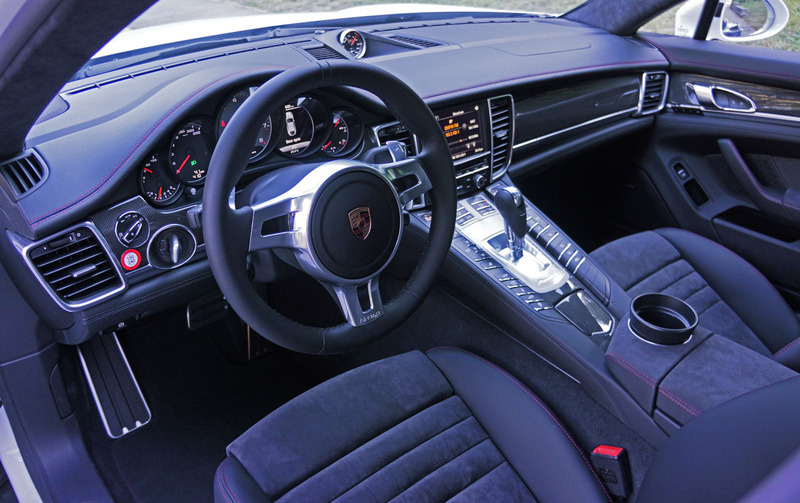 In fact, sales of the now seven-season old first-gen Panamera have been strong so far this year, with buyers seemingly wanting to get hold of this modern-day V8-powered classic before it’s gone. 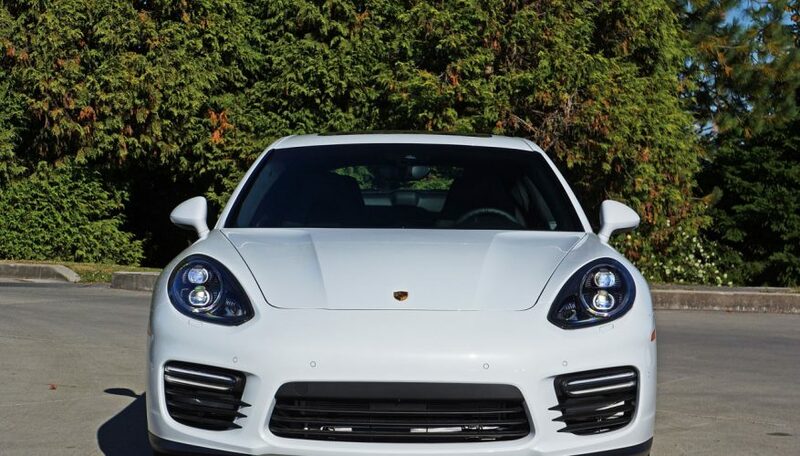 Of course, when I say sales are strong it’s a relative statement. 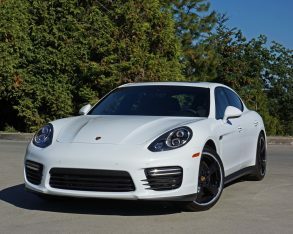 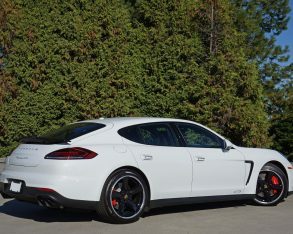 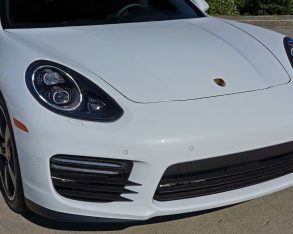 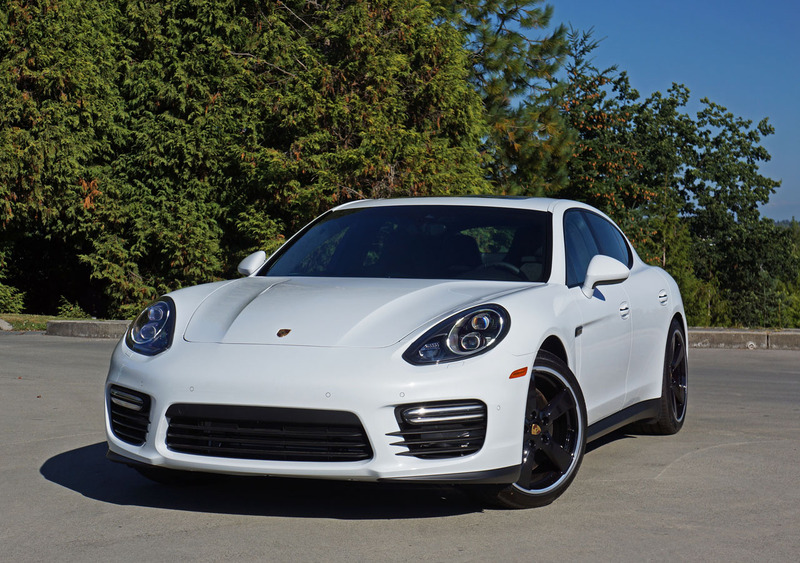 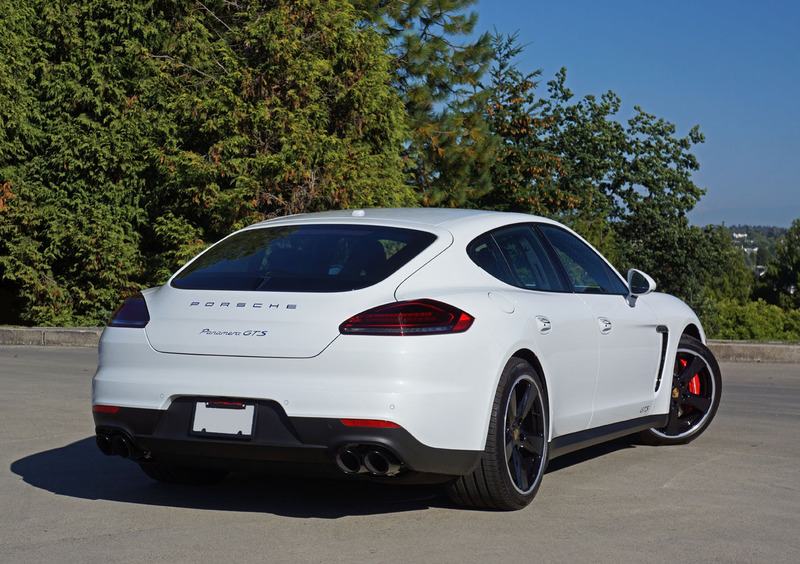 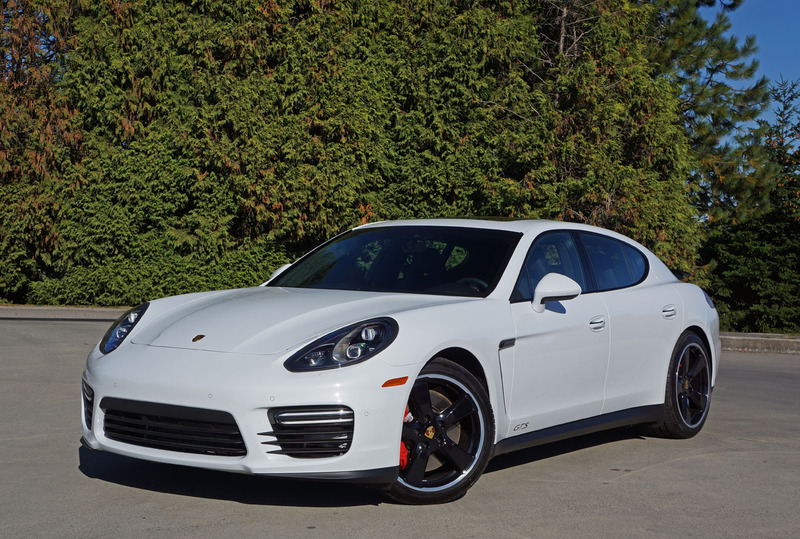 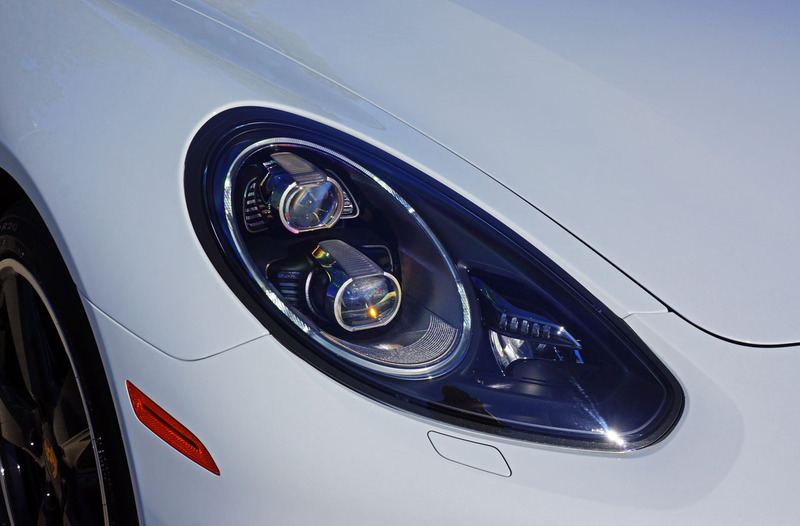 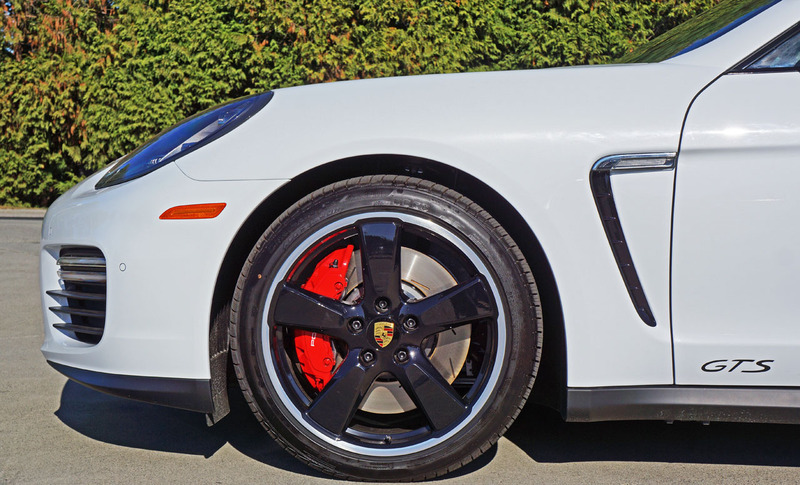 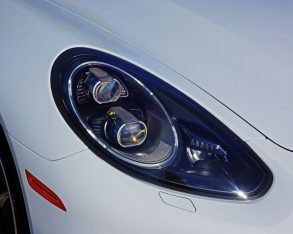 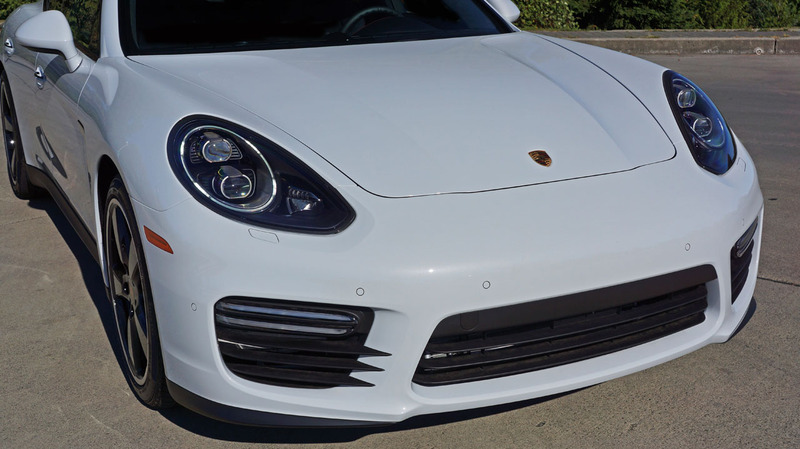 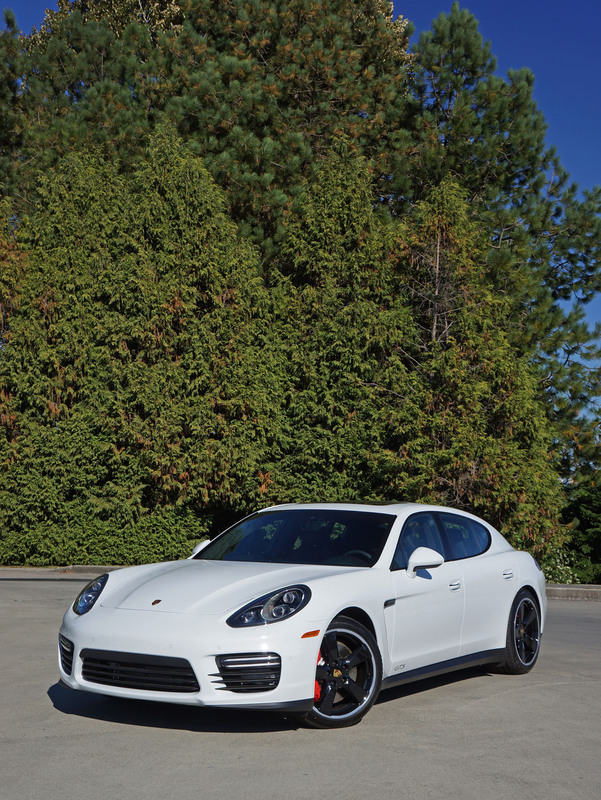 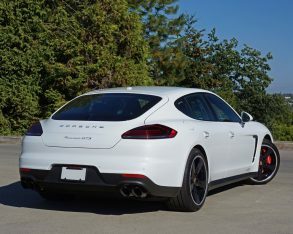 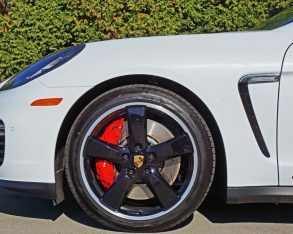 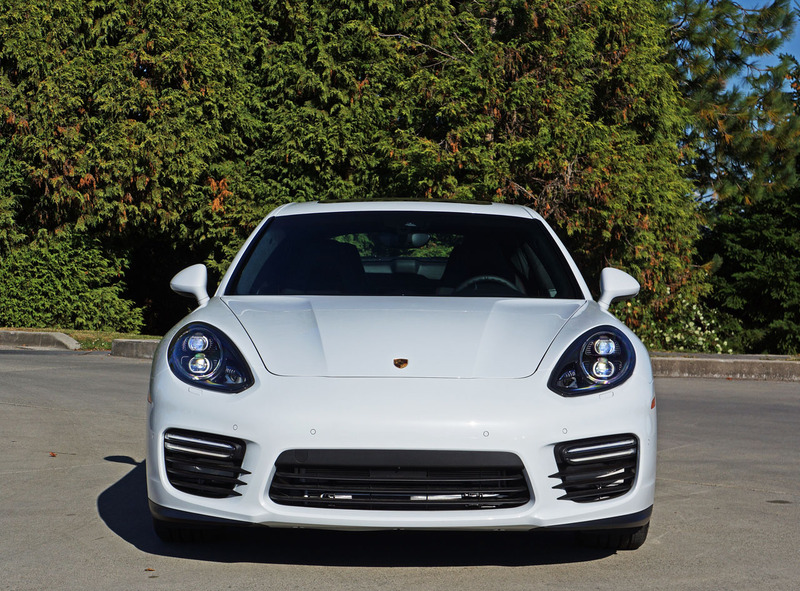 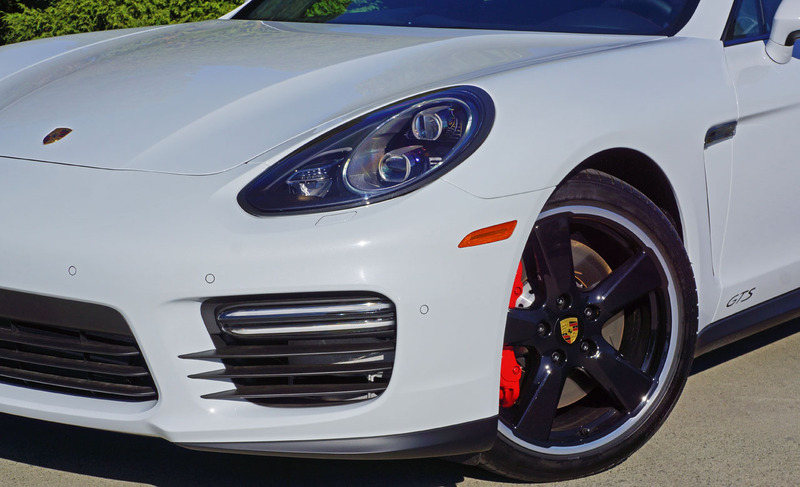 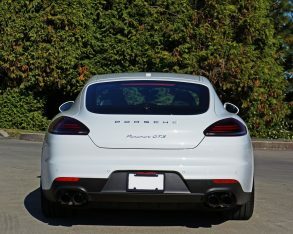 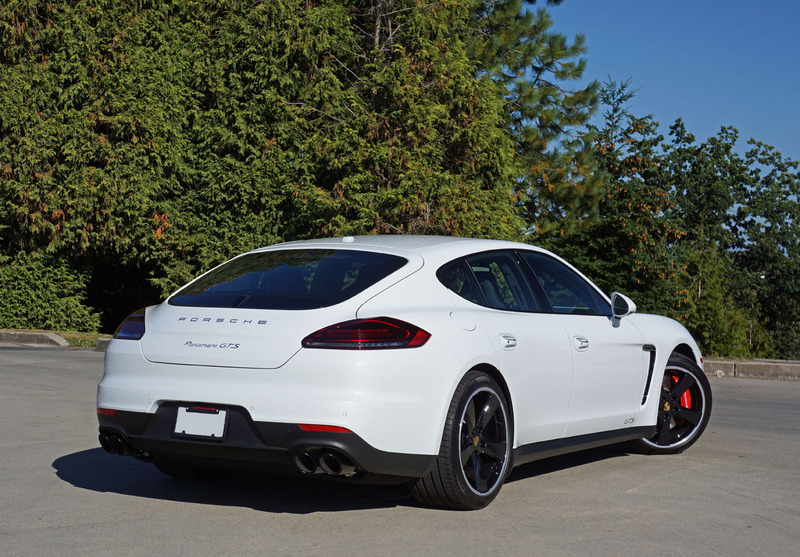 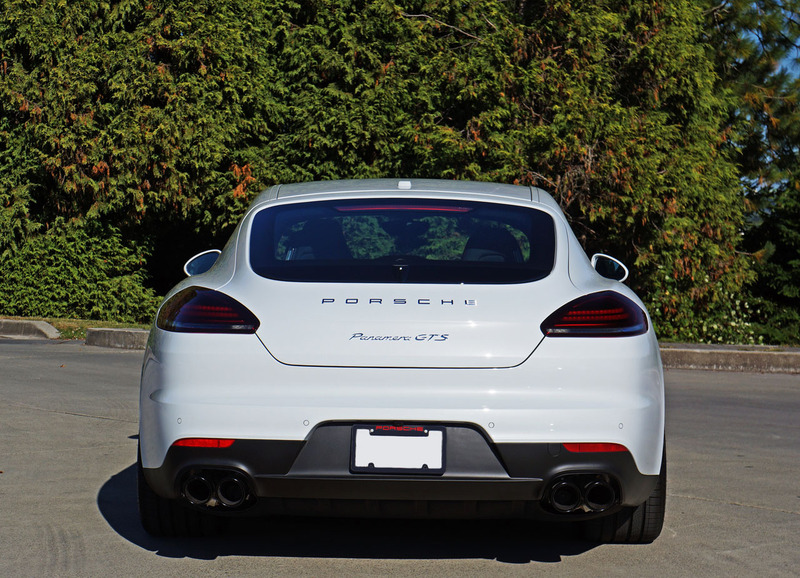 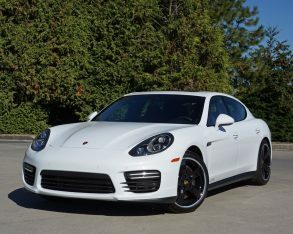 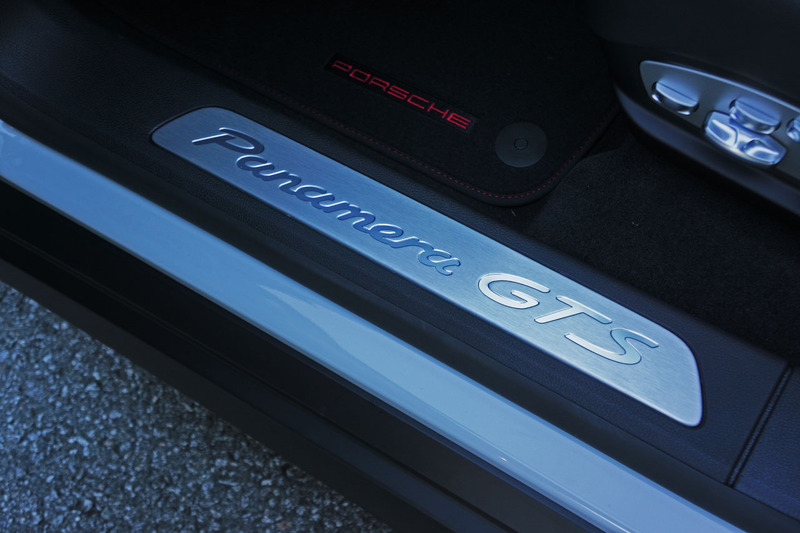 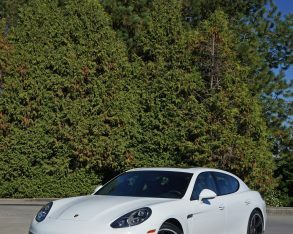 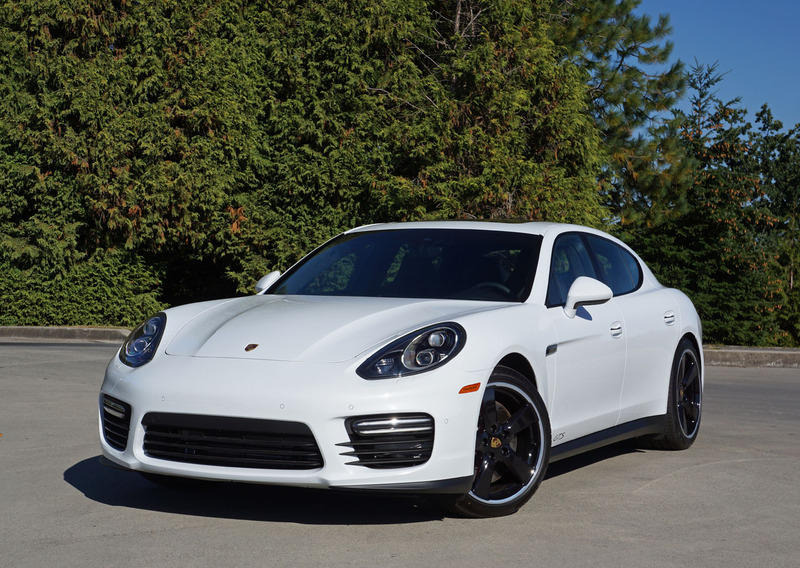 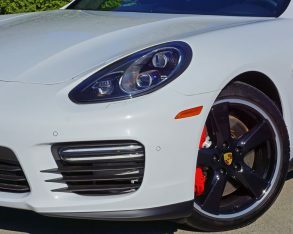 Last year Porsche’s Canadian division found 341 Panamera buyers, which was slightly down from the 375 sold in 2014, but better than the 328 deliveries in 2013, the year GTS trim was introduced. 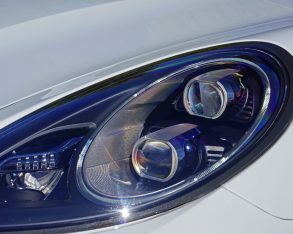 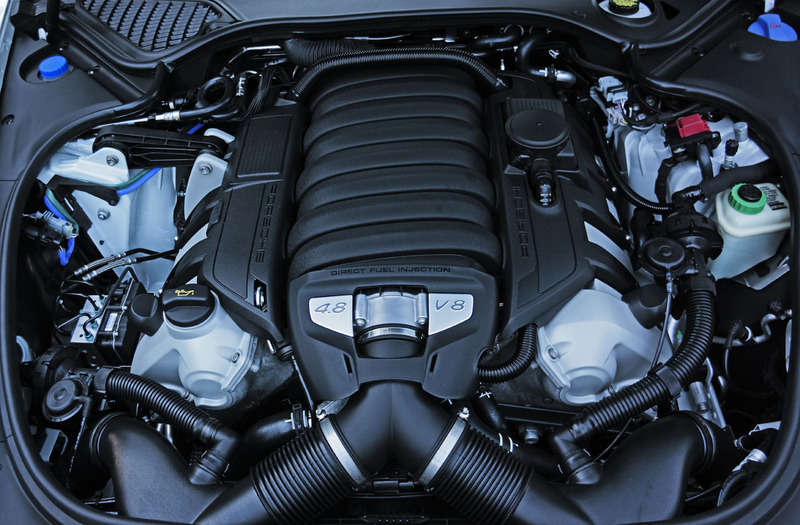 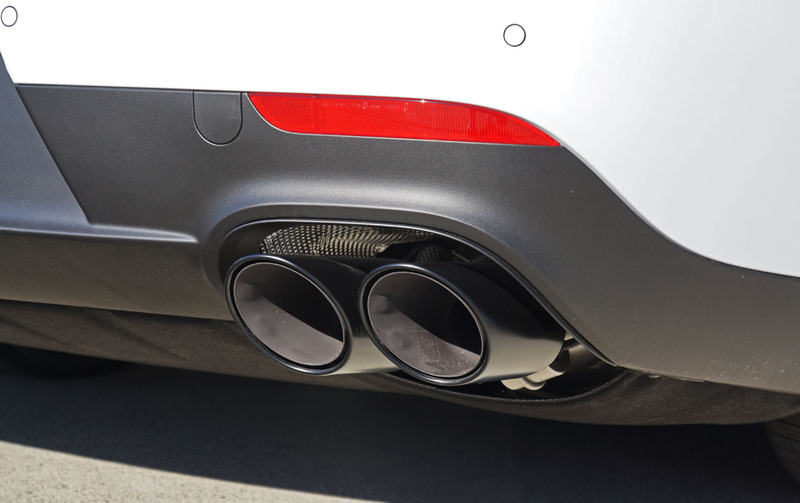 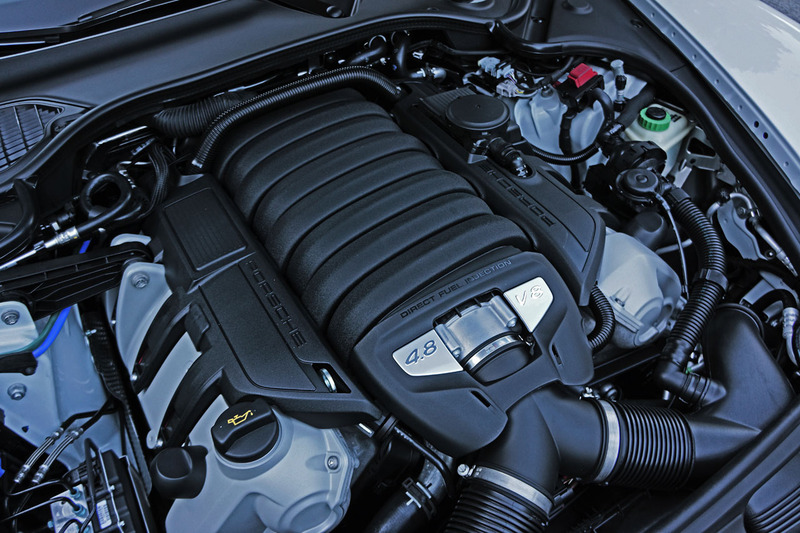 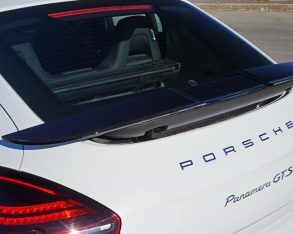 The Panamera was never intended to compete directly with most four-door luxury coupes, which include the Audi A7, BMW 6 Series Gran Coupe and Mercedes-Benz CLS, as it’s priced somewhat higher, but just the same its popularity isn’t far from these Teutonic rivals. 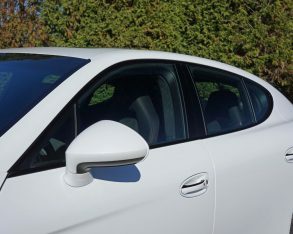 (which is, like Porsche, a VW-owned brand) sold 787 A7s last year, and while I’d like to tell you about CLS sales I can’t because Mercedes’ Canadian operation isn’t quite as transparent, instead lumping CLS sales together with the much stronger selling E-Class. 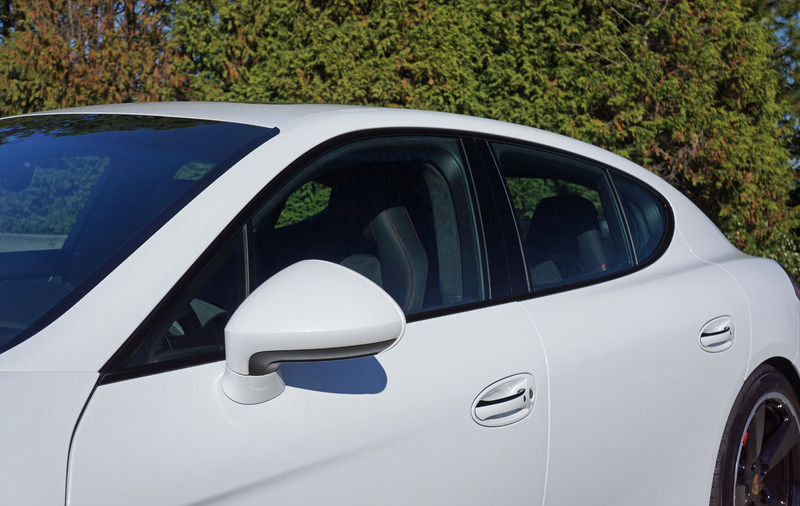 This said the originator of the four-door coupe body style is only marginally more popular in the U.S. (6,152 vs. 4,985 units), so quite likely a similar scenario plays out here in Canada (my best guess being somewhere in the high 300 to mid 400 range), while similarly BMW combines all three 6 Series models (Coupe, Cabriolet and Gran Coupe) into one single sales number that only resulted in 490 deliveries, making it highly probable the Panamera outsold the 6 GC last year. 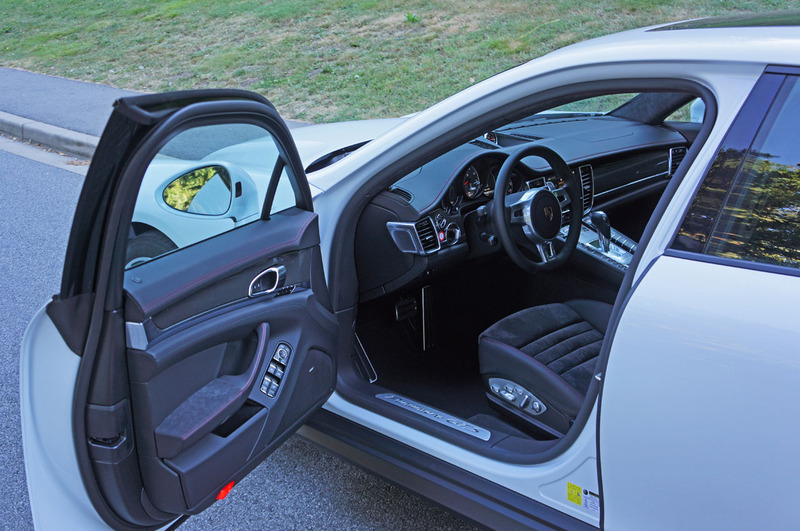 The only other competitor is Aston Martin’s much pricier Rapide, but with no sales info available from this comparatively niche exotic brand we’re left imagining a significantly smaller annual number. 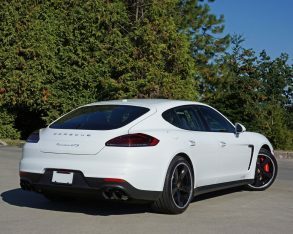 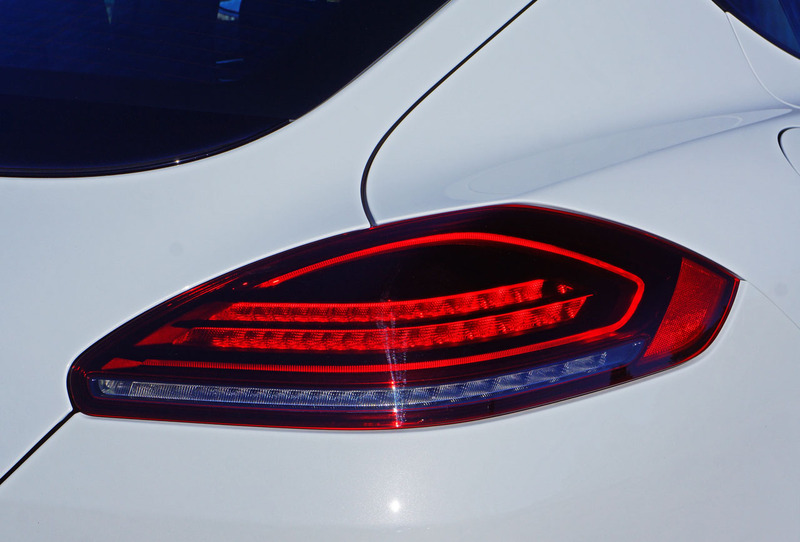 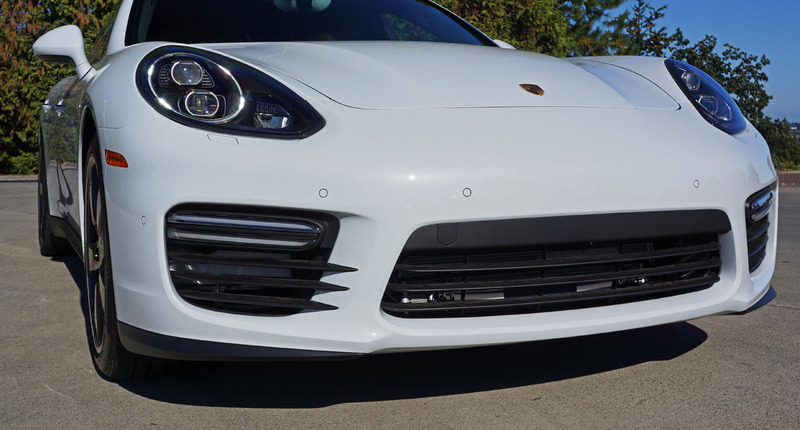 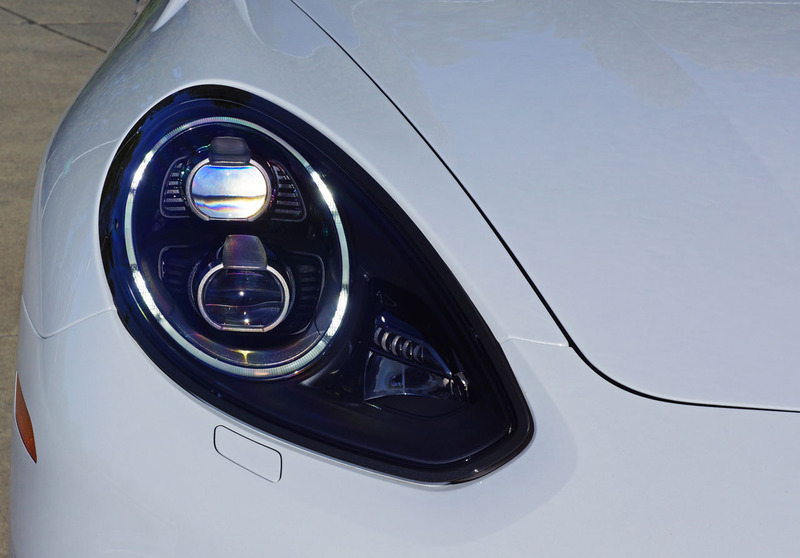 things considered the Panamera is still a relatively rare sight on Canadian roads and has therefore remained quite fresh looking, a subtle styling update in 2014 helping stylistic matters with revised front and rear fascias, new LED-enhanced lighting elements and more. 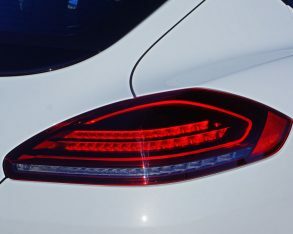 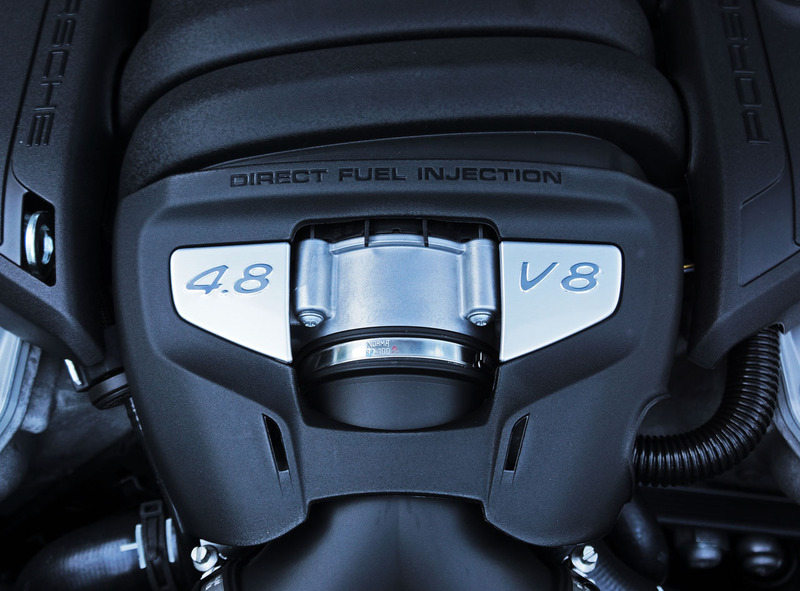 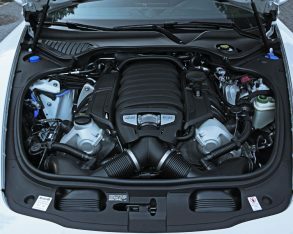 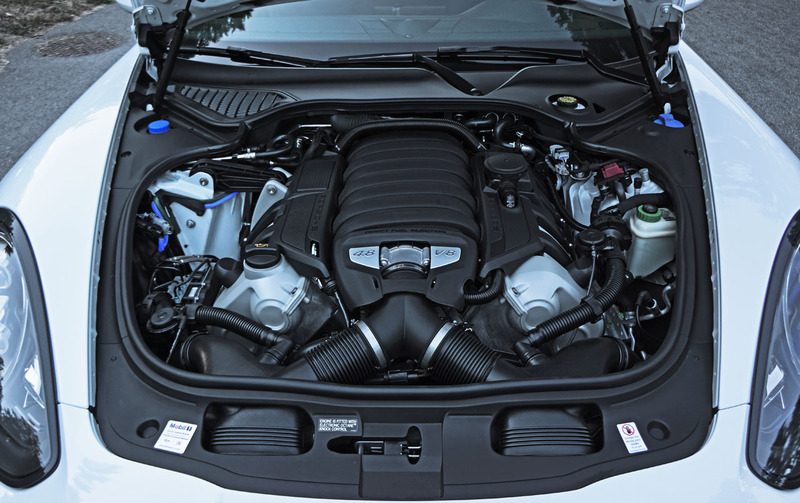 that gets a plug-in electrified version of the same engine that’s good for 416 net horsepower and 435 lb-ft of accumulative torque; the GTS, the only other naturally aspirated model featuring a 440 horsepower 4.8-litre V8 with 384 lb-ft of torque; plus the Turbo and Turbo S (also available in Executive trims) that receive twin-turbocharged versions of the 4.8-litre V8 good for 520 and 570 horsepower respectively, plus 516 and 553 lb-ft of torque. 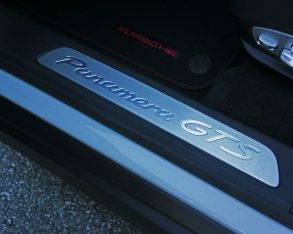 impressive, but the more viscerally connective GTS conjures my inner child most effectively. 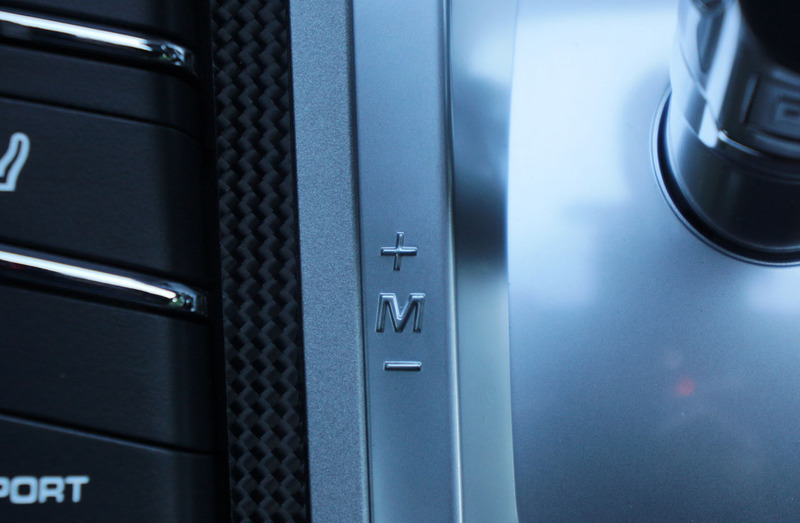 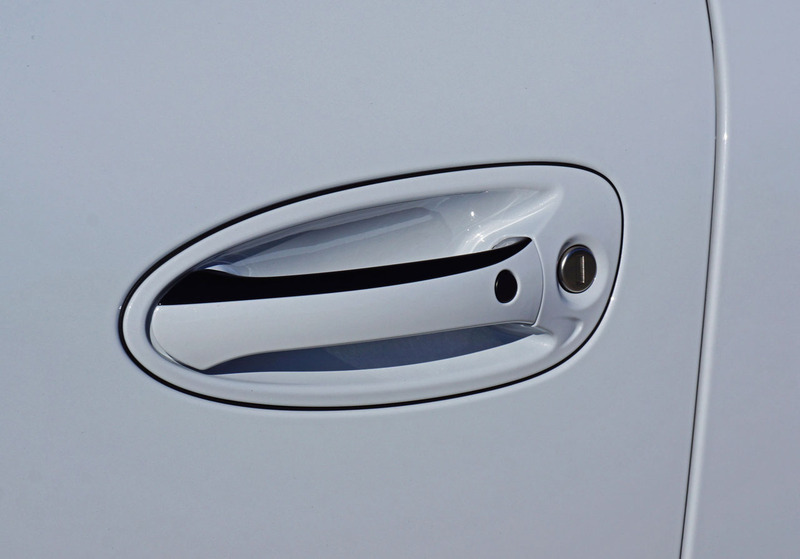 inlays and satin-finish aluminum accents don’t, while the quality of all is exceptional. 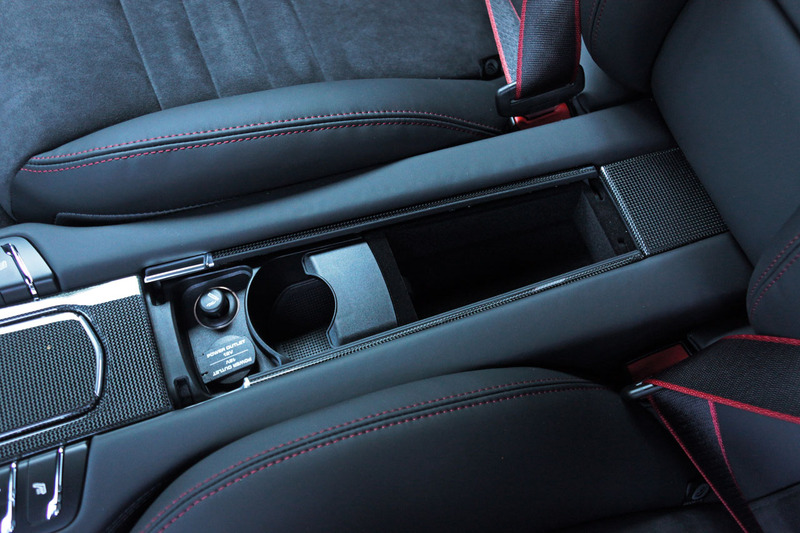 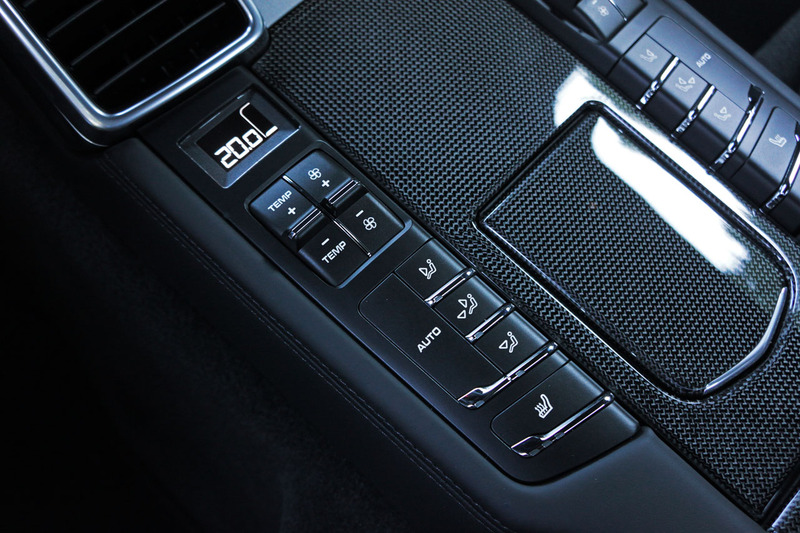 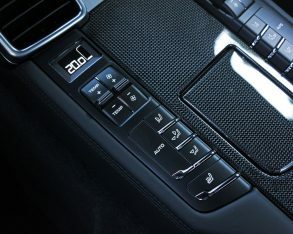 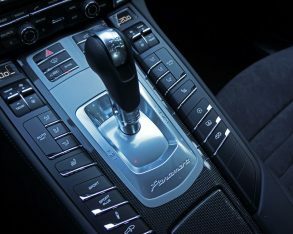 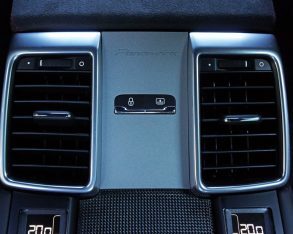 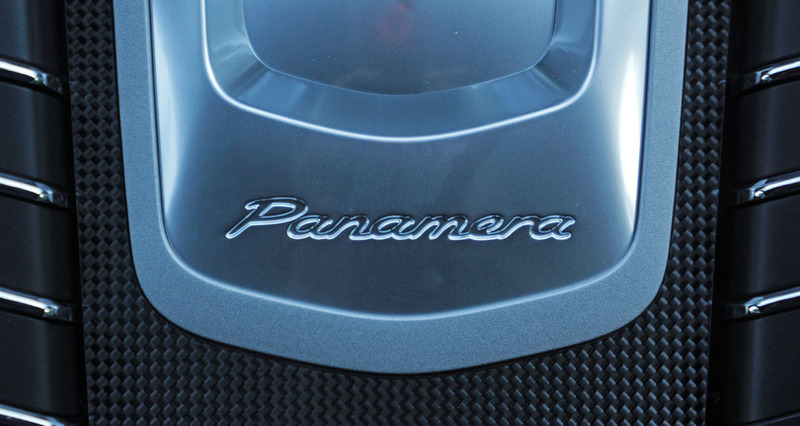 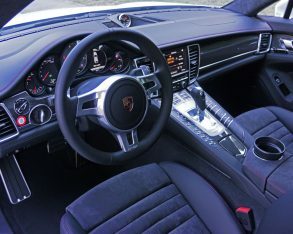 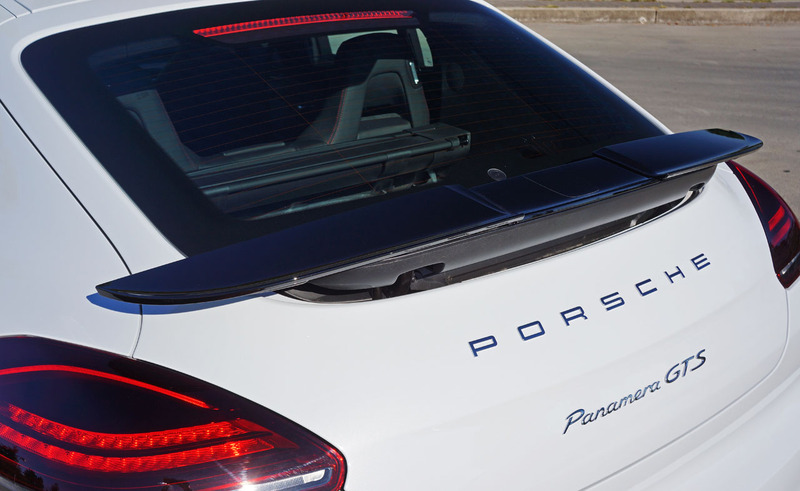 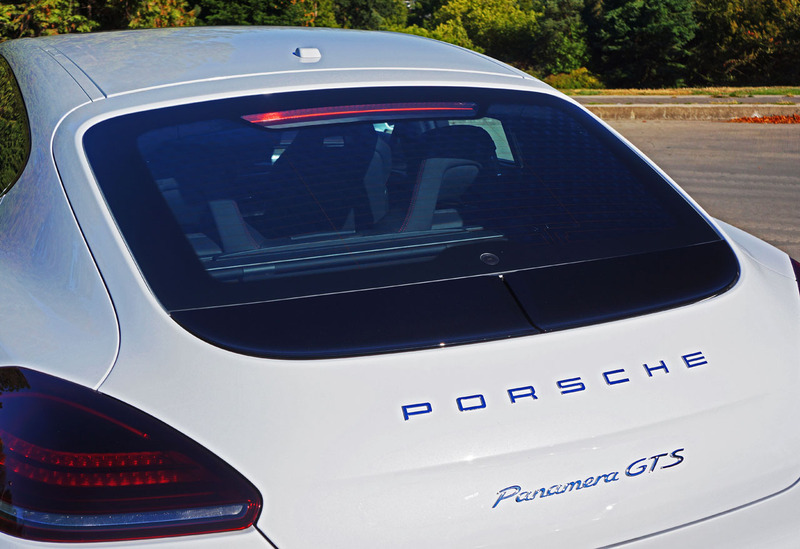 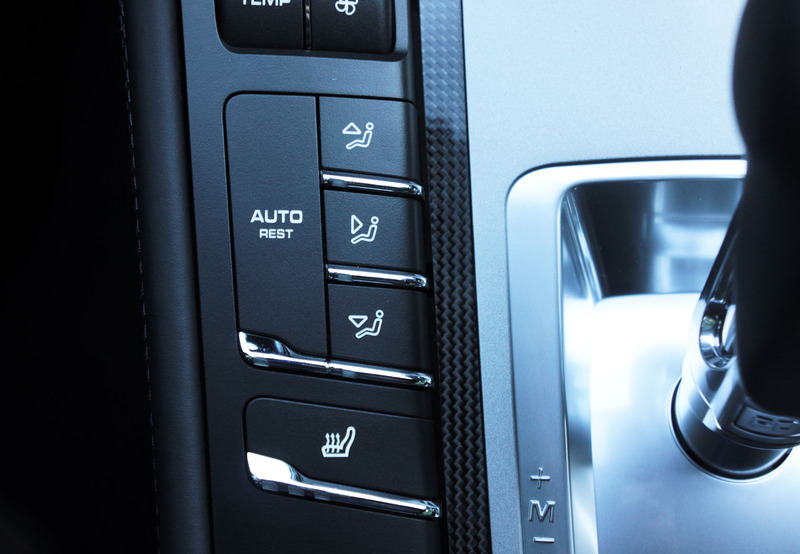 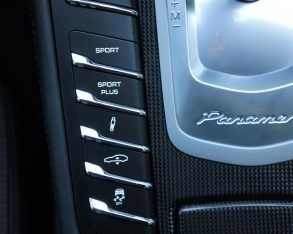 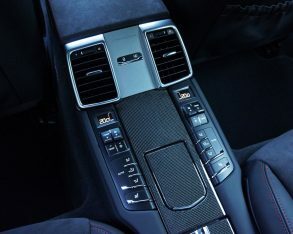 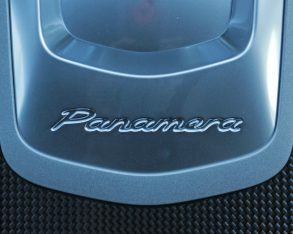 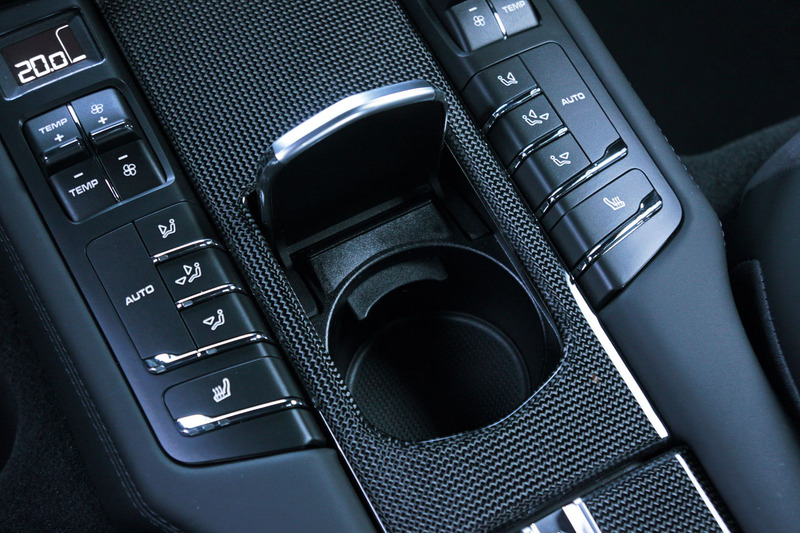 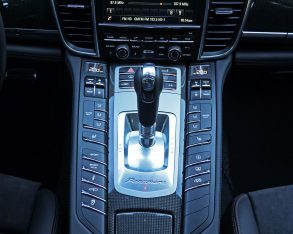 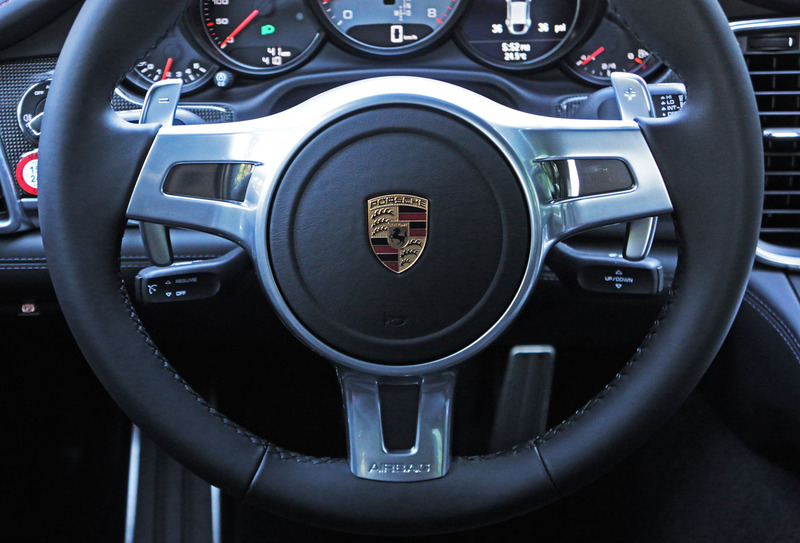 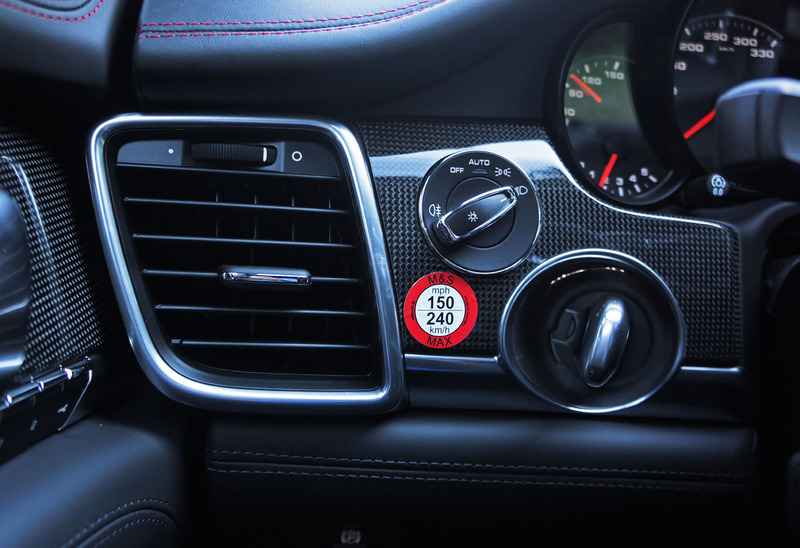 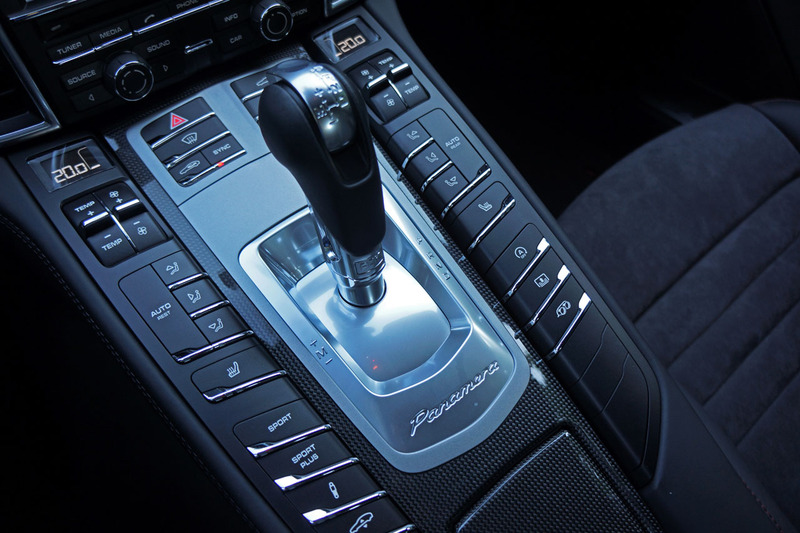 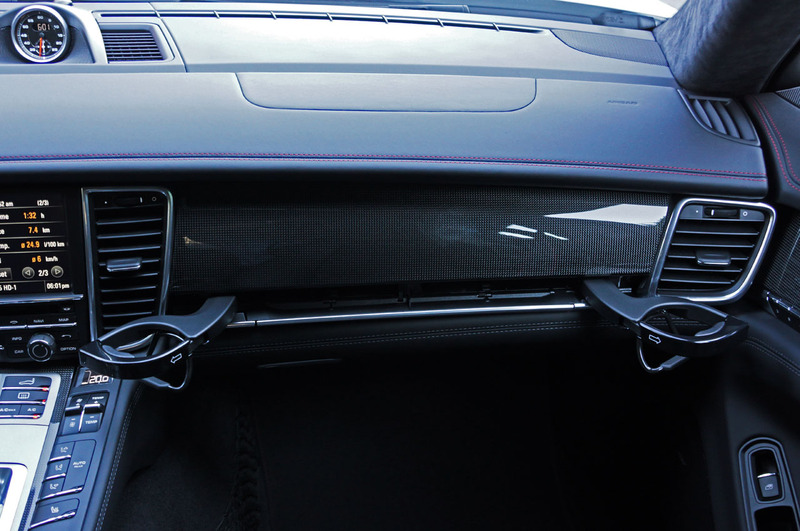 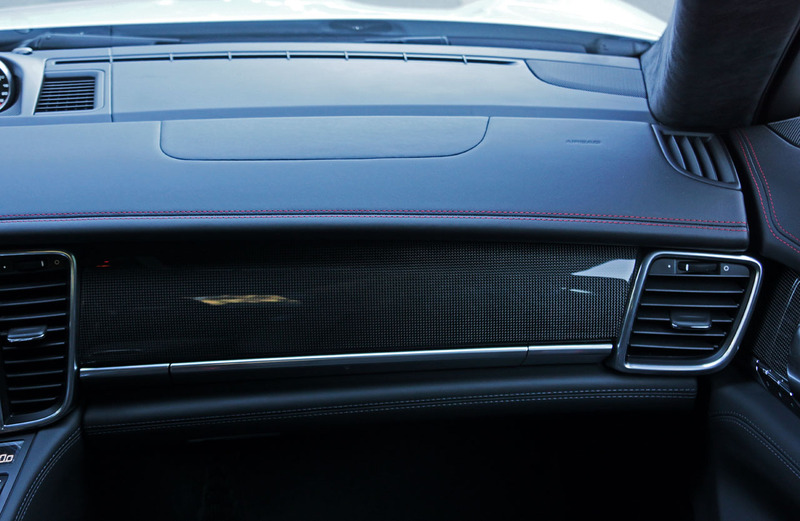 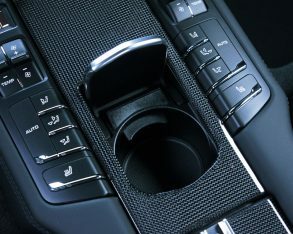 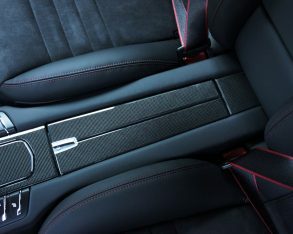 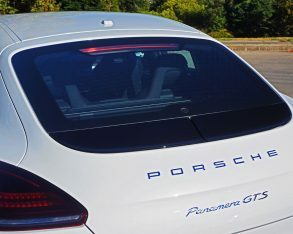 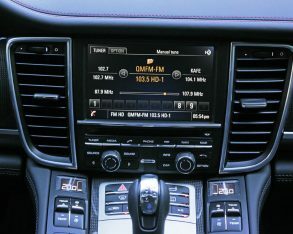 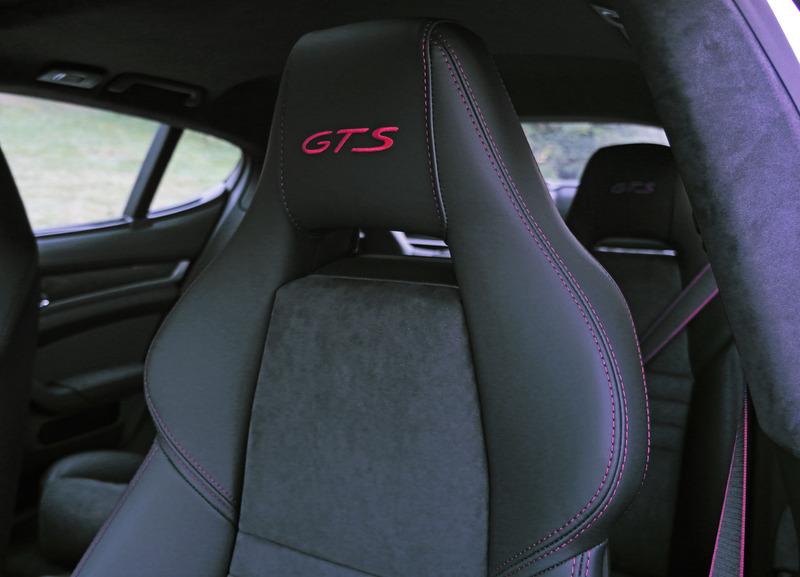 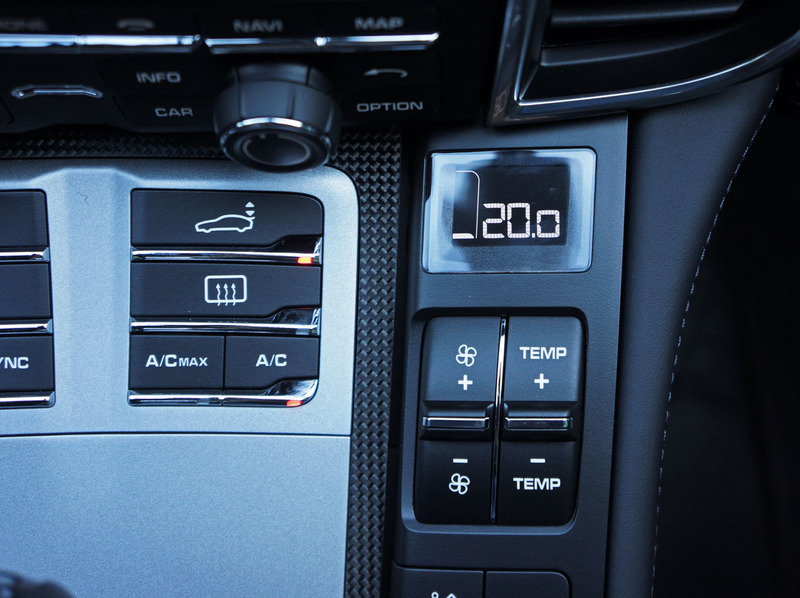 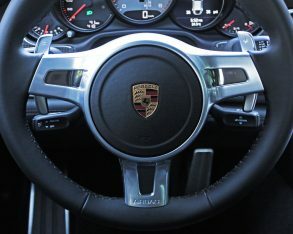 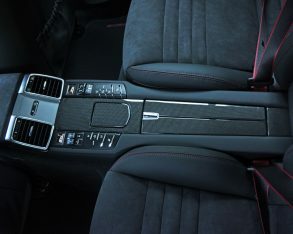 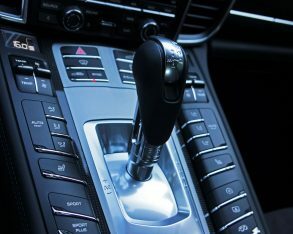 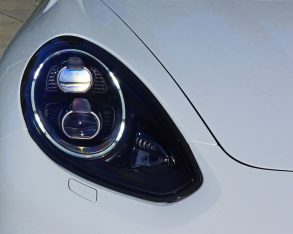 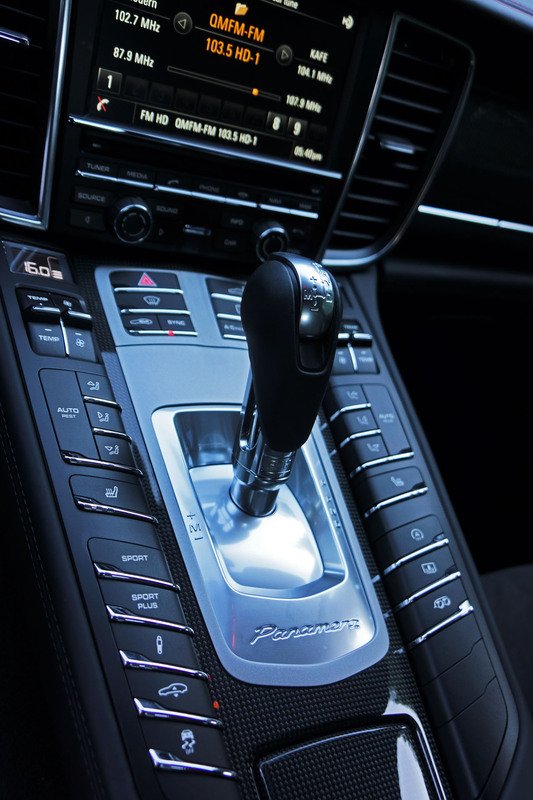 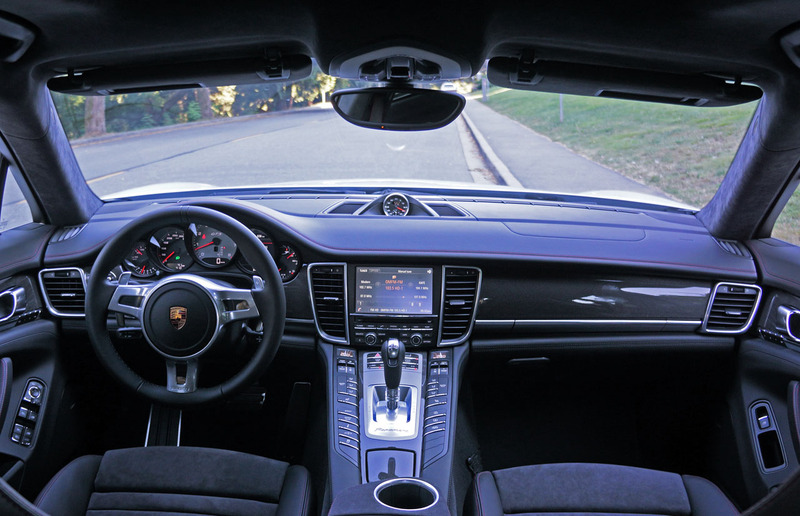 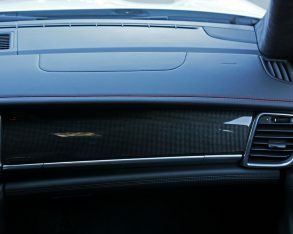 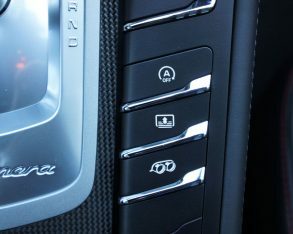 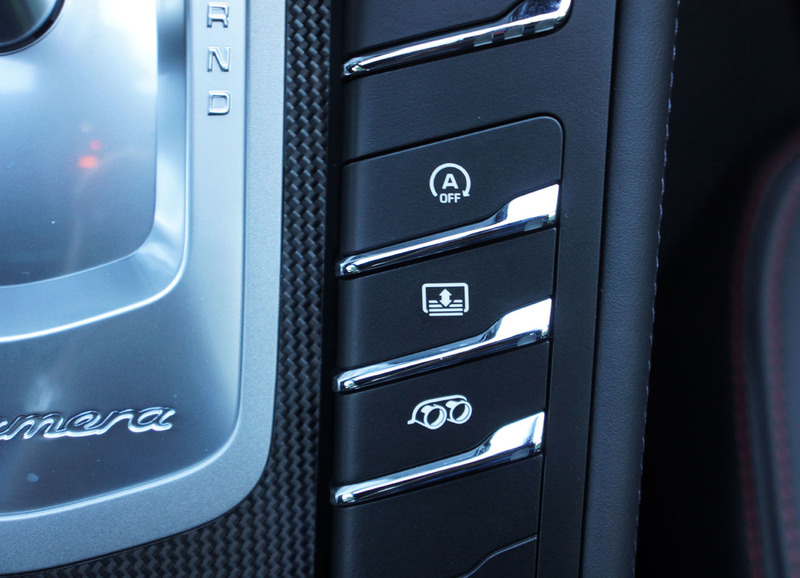 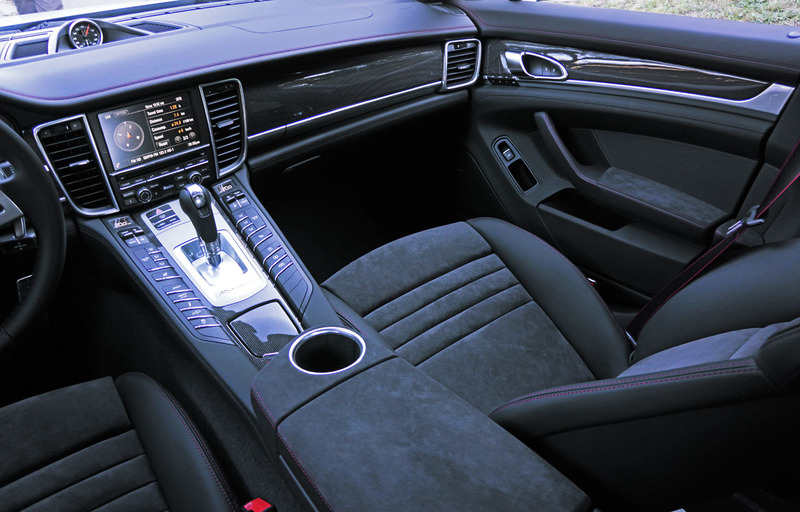 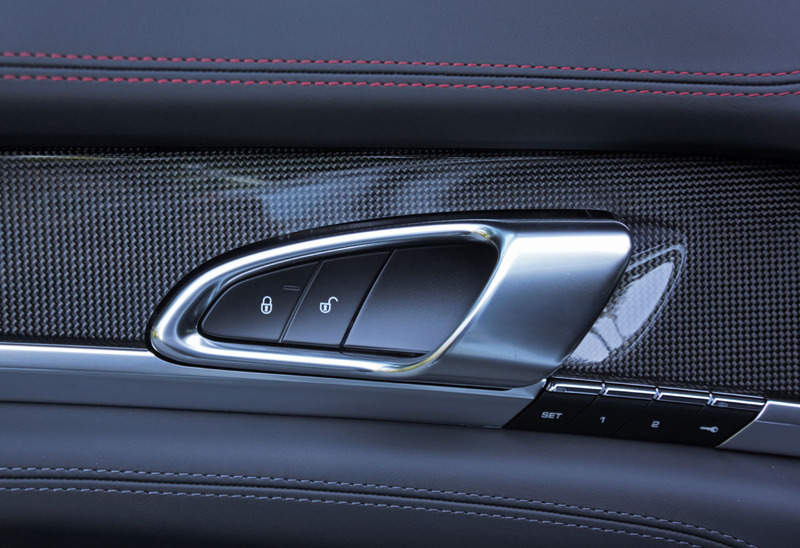 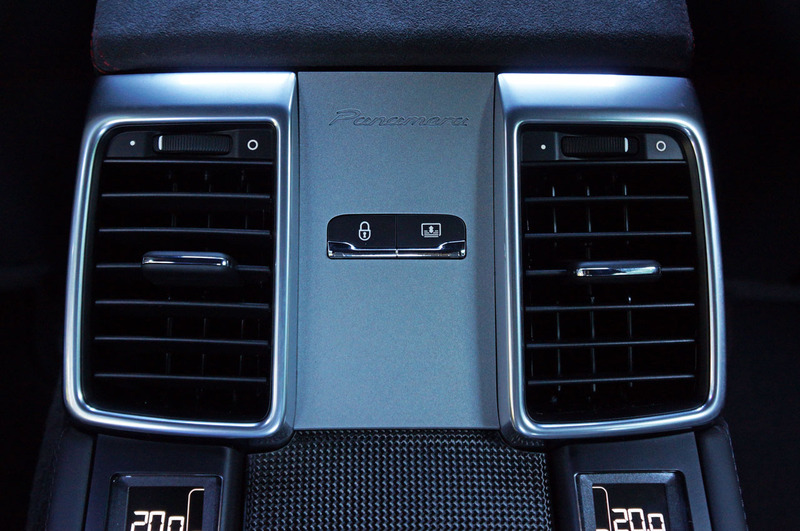 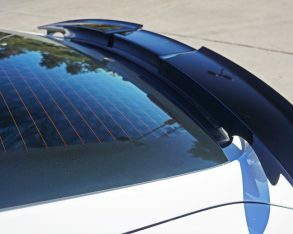 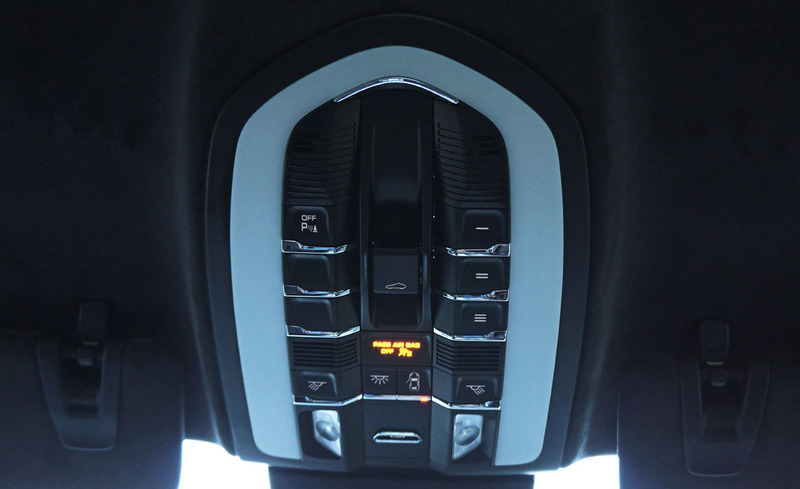 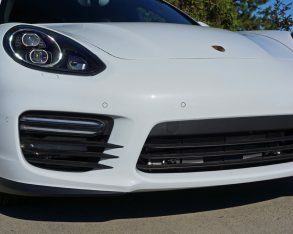 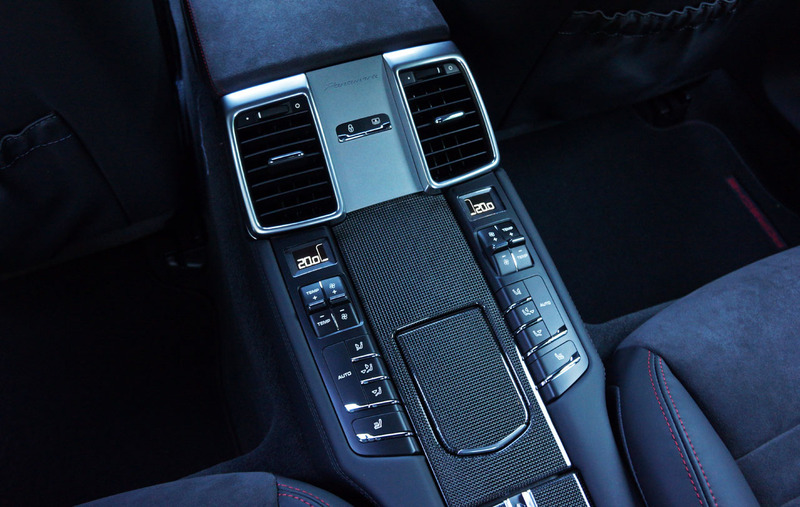 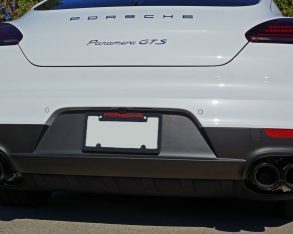 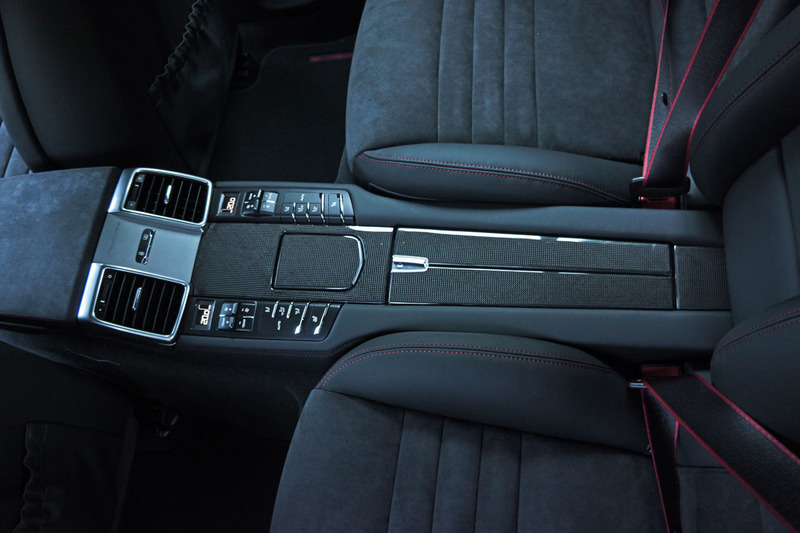 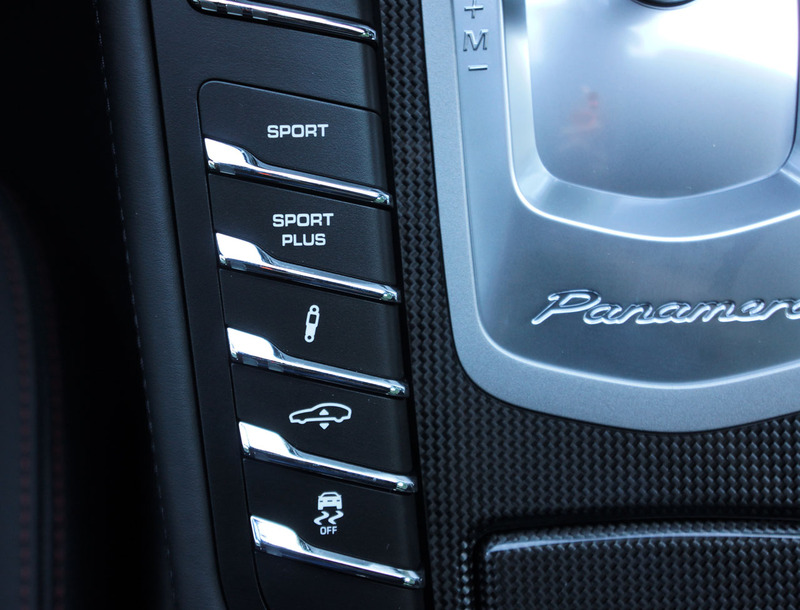 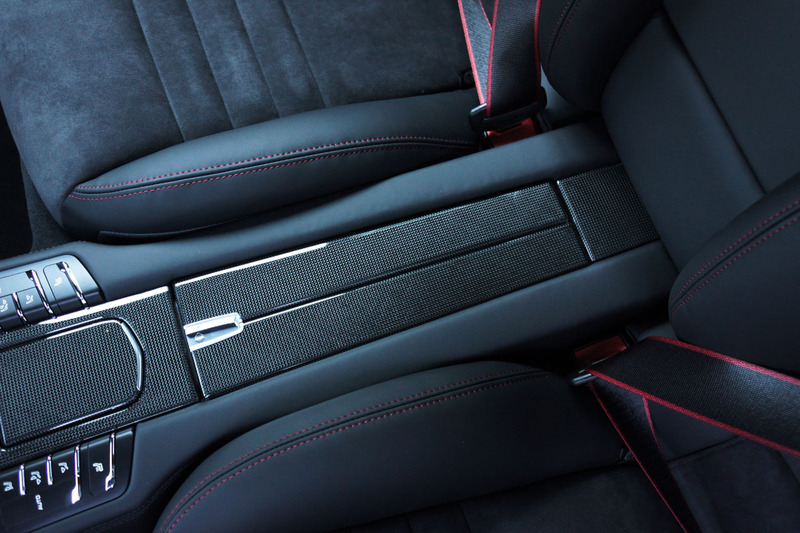 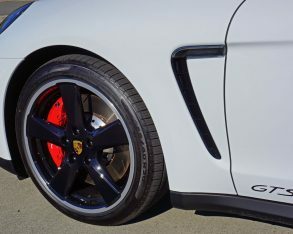 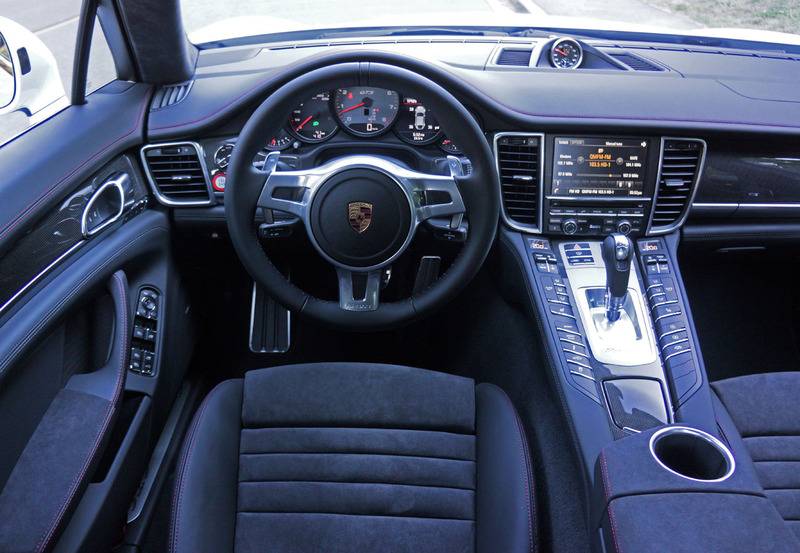 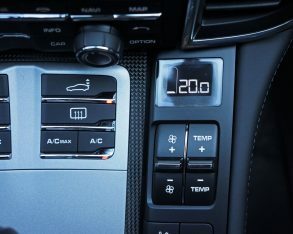 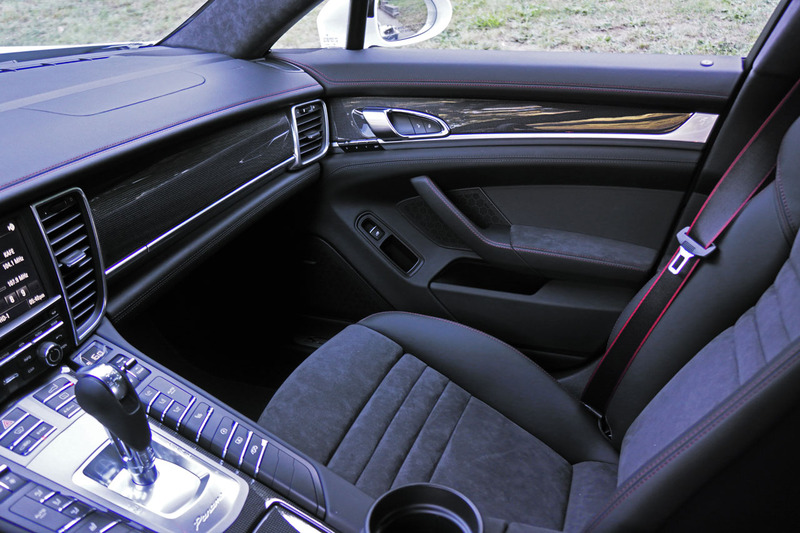 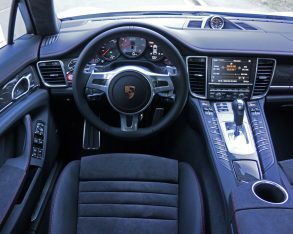 The 2010 Panamera introduced the centre stack design currently found across Porsche’s range of models, featuring enough buttons to turn Nakamichi Dragon collectors bitter with envy, this four-door still leading the button, toggle and dial-infused lineup with a slightly smaller overhead console mirrored above and yet more switchgear flanking the rear console’s carbon-fibre lidded bin. 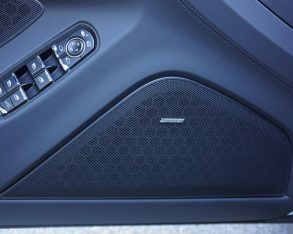 Minimalist it’s not, but high-end audio aficionados will feel right at home. 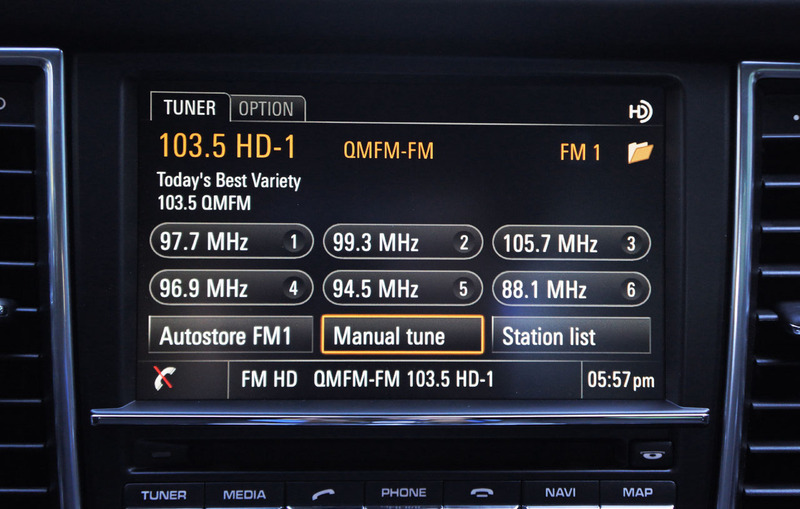 interface that truly is worth waiting for if you’re a tech fan. 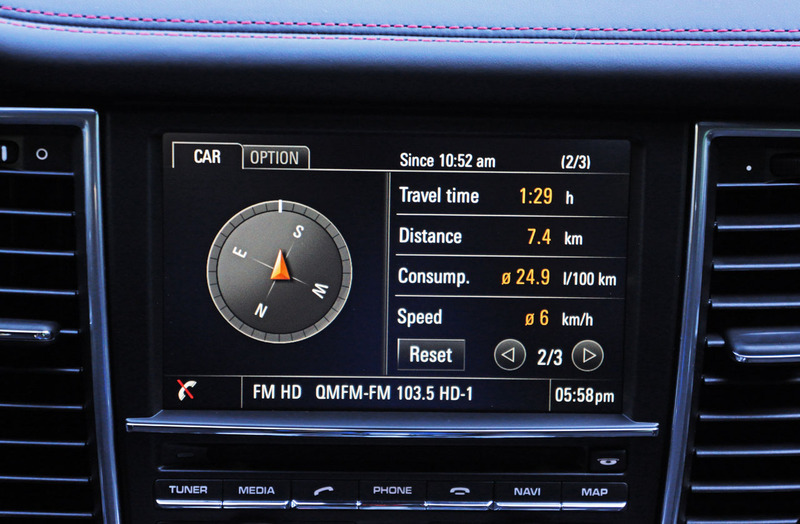 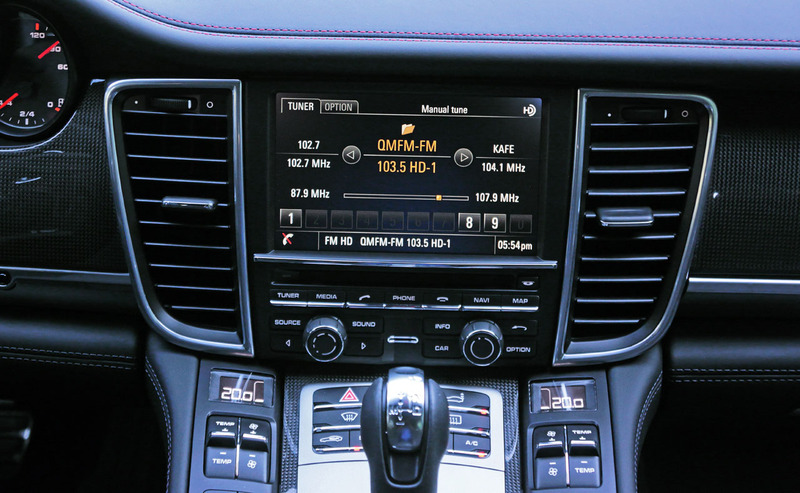 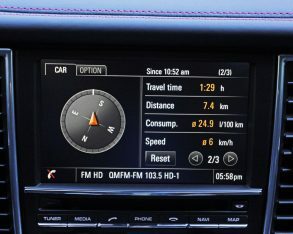 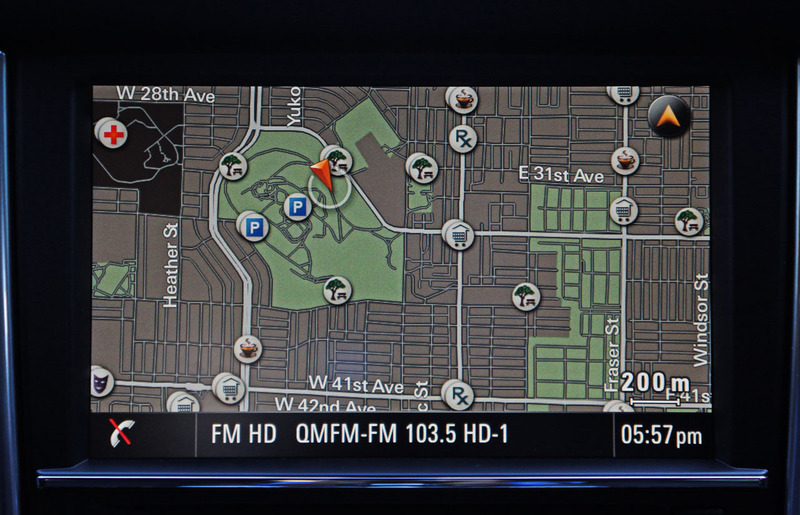 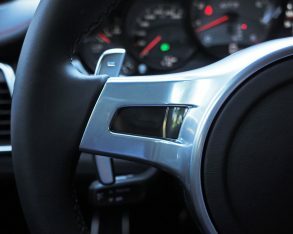 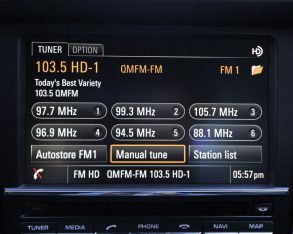 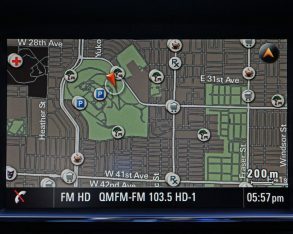 As is, the older interface is a bit slower and not as high in resolution with less stimulating graphics, but the basics are included such as a very useful backup camera with active guidelines, navigation with mapping, all the expected climate, phone and car settings, plus audio controls that were hooked up to an especially good optional Bose surround system. 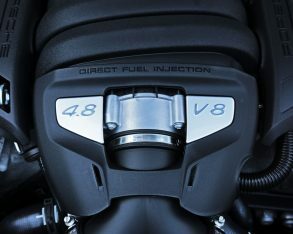 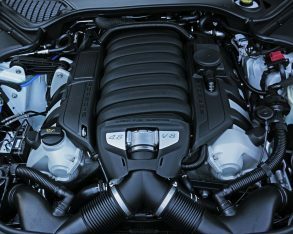 way to a very competent and wonderfully melodic twin-turbo V6, but as good as it is the boosted mill can’t move mountains, divide the waters and thunderously shake terra firma as if resurrecting the dead, the 4.8 delivering its enlightened occupants from evil to 100 km/h in a mere 4.4 seconds thanks in part to a fabulously fast paddle-shifting seven-speed dual-clutch automated PDK transmission, that number a tick faster, incidentally, than the slightly less powerful GTS I reviewed three years ago. 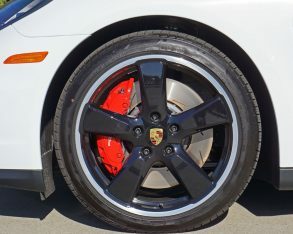 Sport Chrono package. 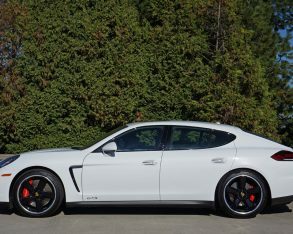 I’ll go into more detail about this new model in a future review, a GTS version not yet available and that upcoming car no doubt incorporating the more fuel-friendly 440 horsepower V6, but until then you should seriously consider this future collectable 2016 Panamera GTS for the rumbling V8 just eulogized, and its many other attributes. 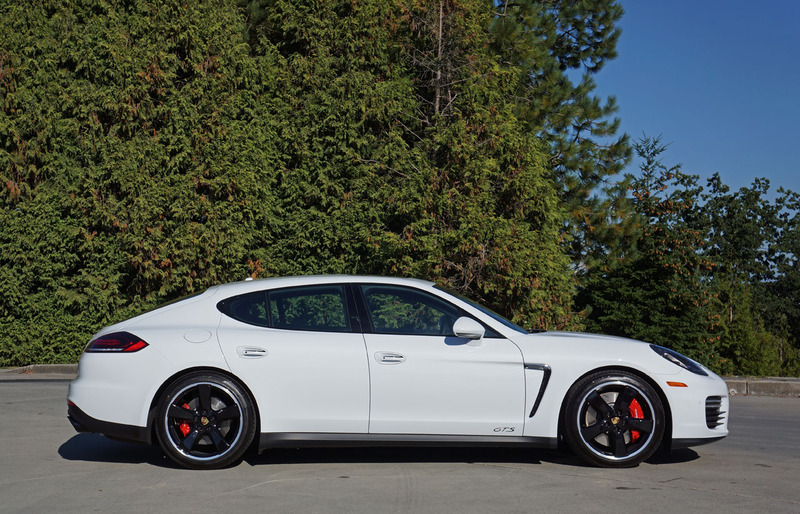 in the park, at which point the Panamera’s command of the curve begins to make sense. 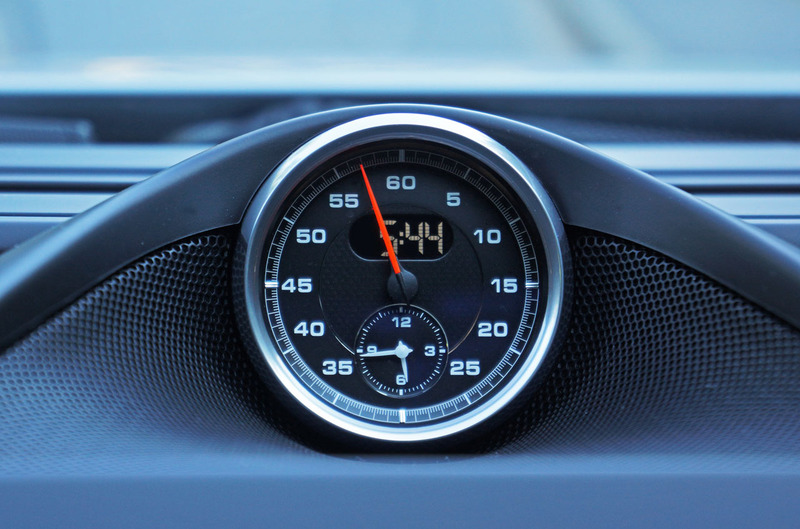 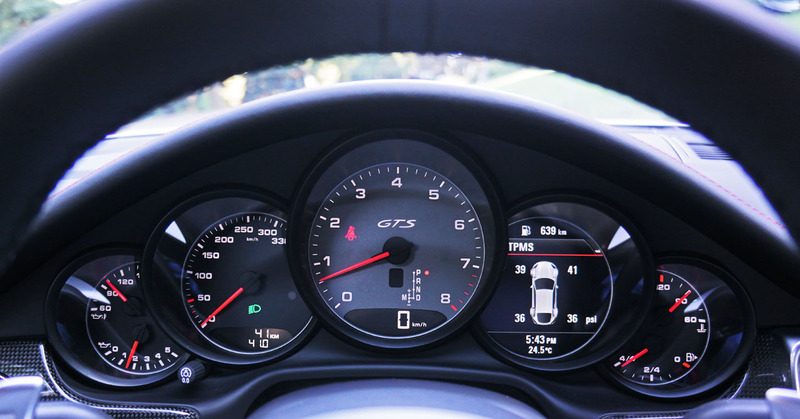 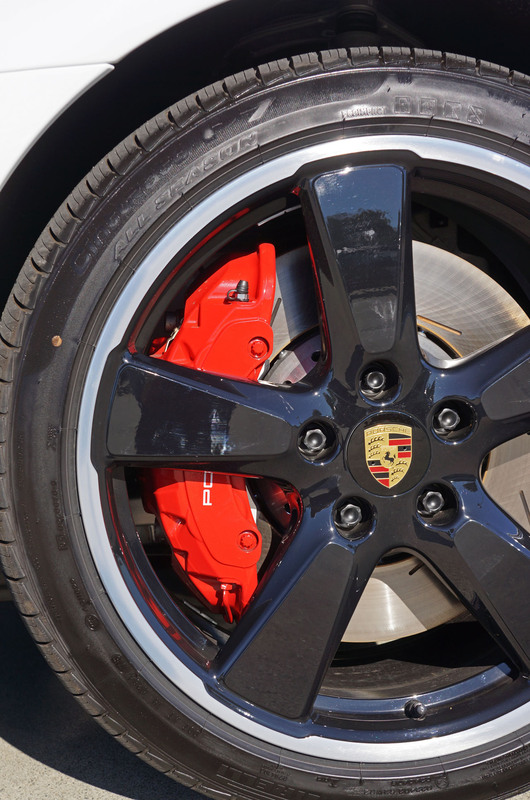 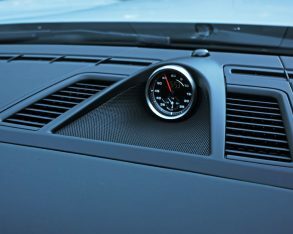 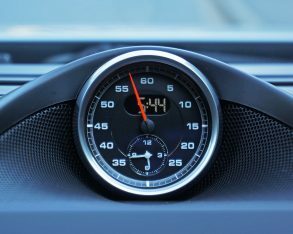 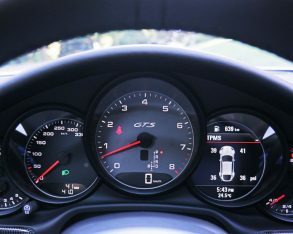 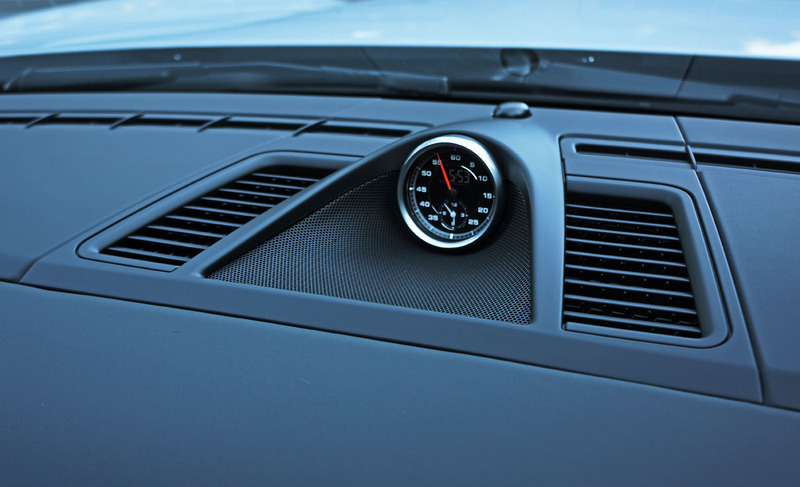 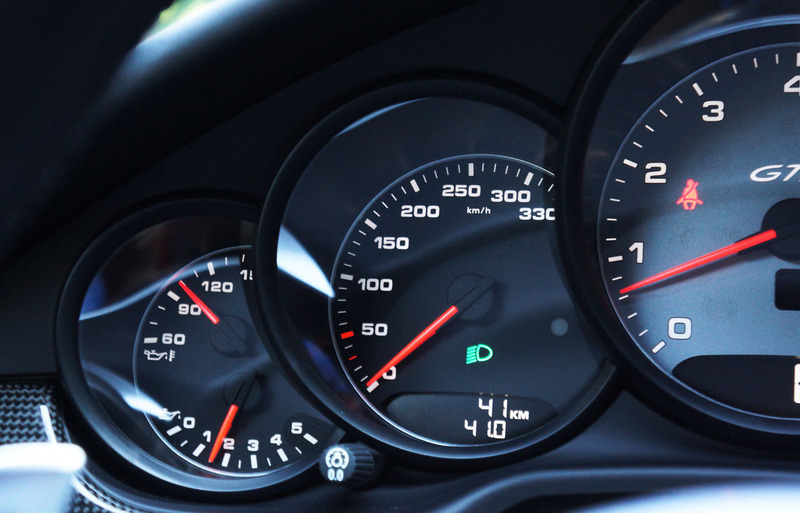 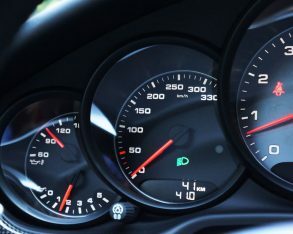 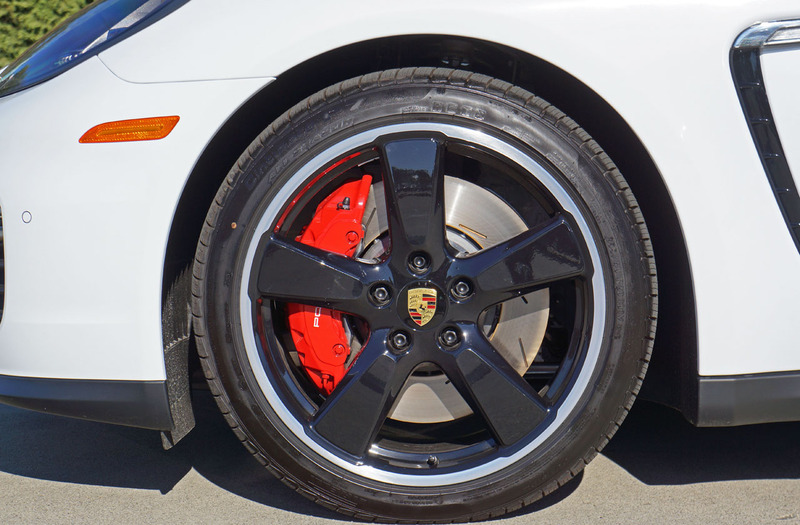 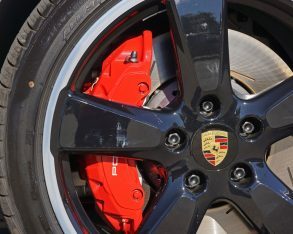 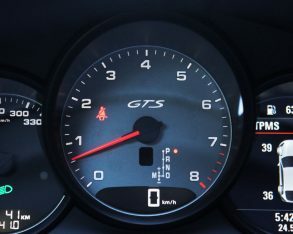 Go ahead and get stupid with speed (which is easy to do) before daring natural laws and the GTS simply follows direction obediently, the rear wheels tracking in amenable consent no matter how sharp the apex or sudden the descent. 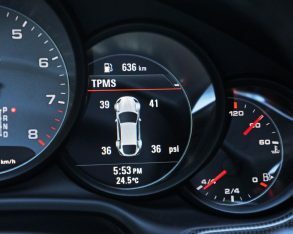 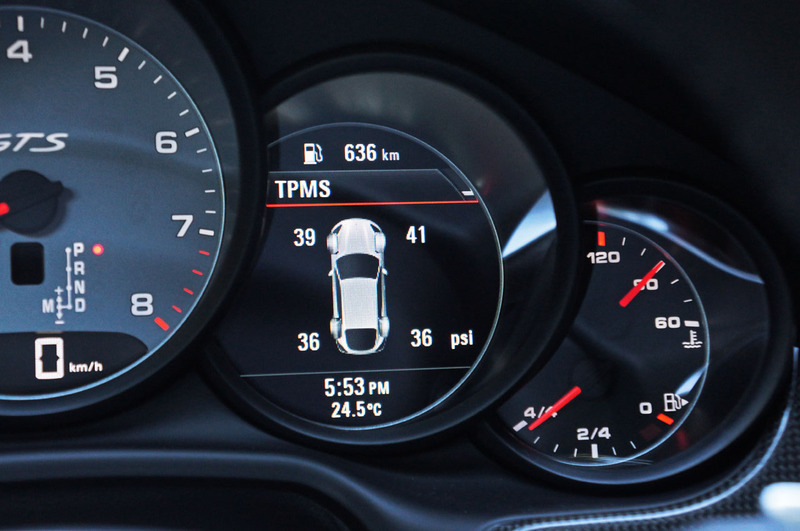 Admittedly there’s a limit to any car’s adhesion, but after considerable experience with the aforementioned four Panameras, including track time with others, I’ve never found its breaking point with electronics engaged. 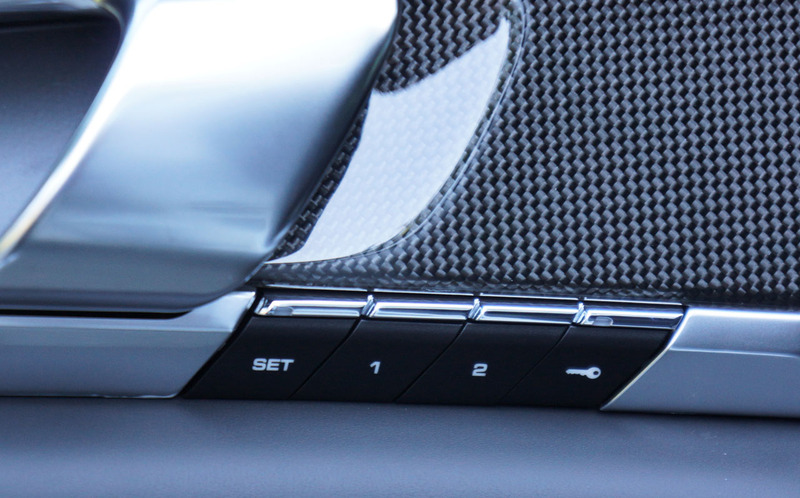 Switch such confines off, however, and it’ll tail-wag through the doglegs all day long. 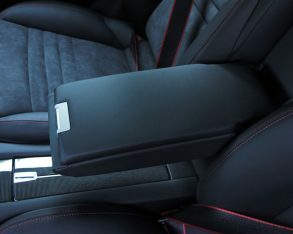 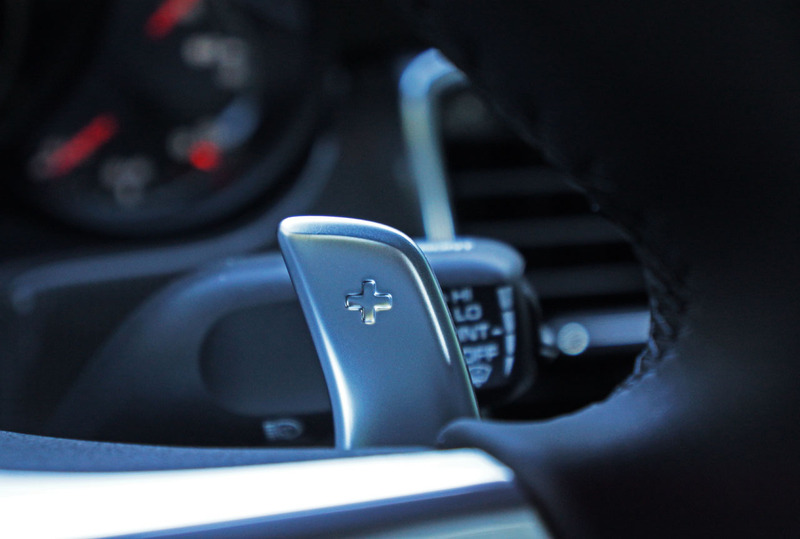 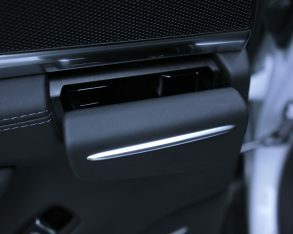 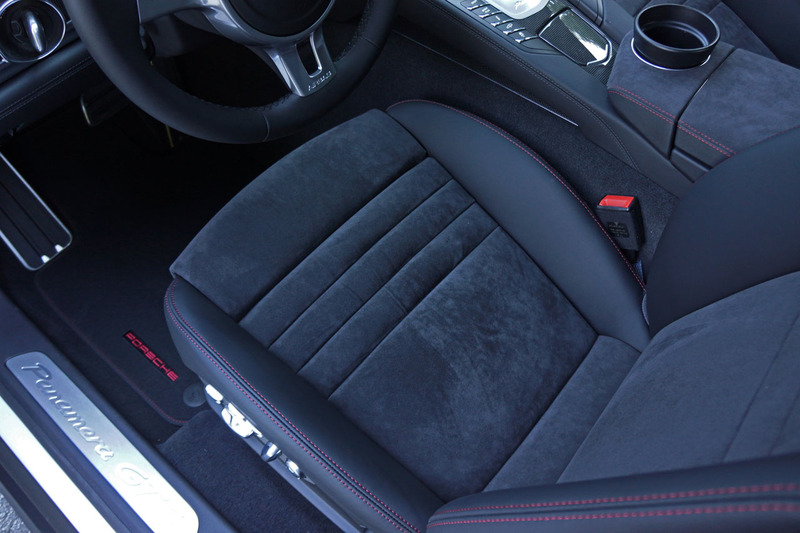 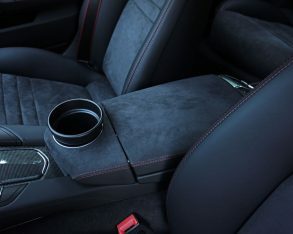 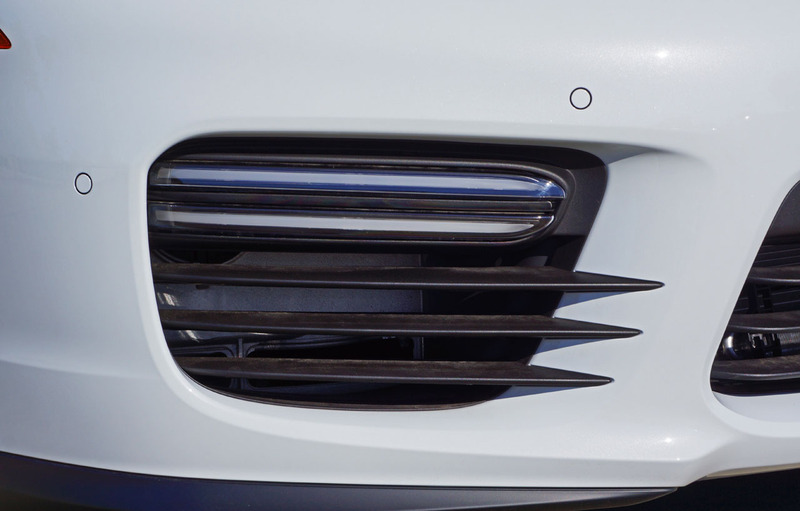 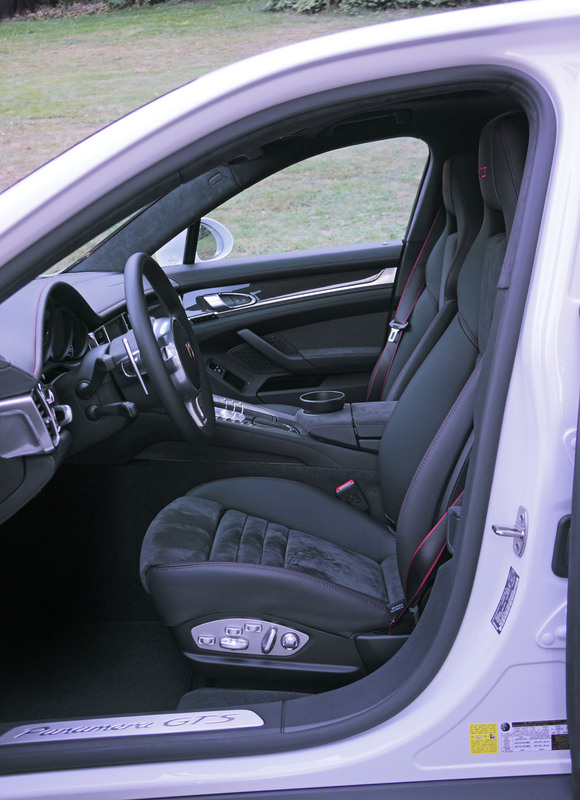 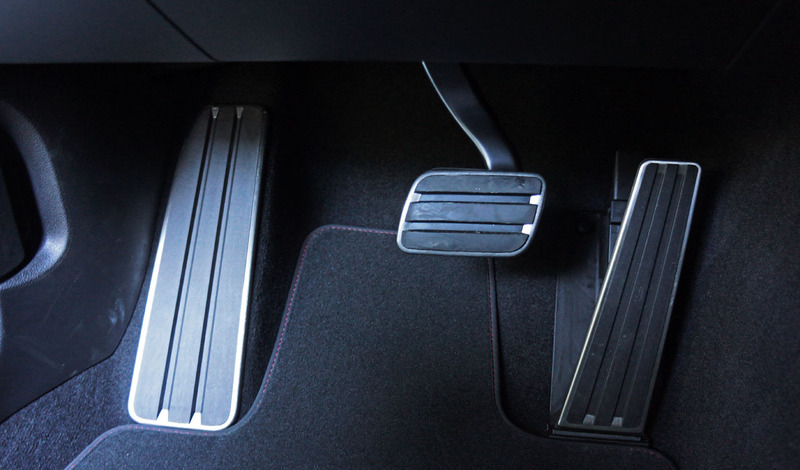 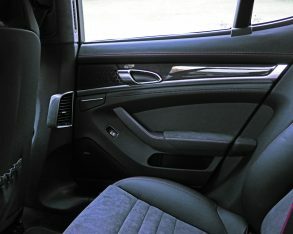 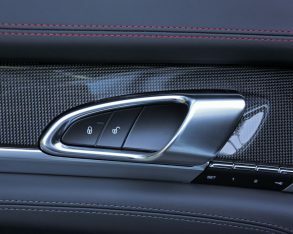 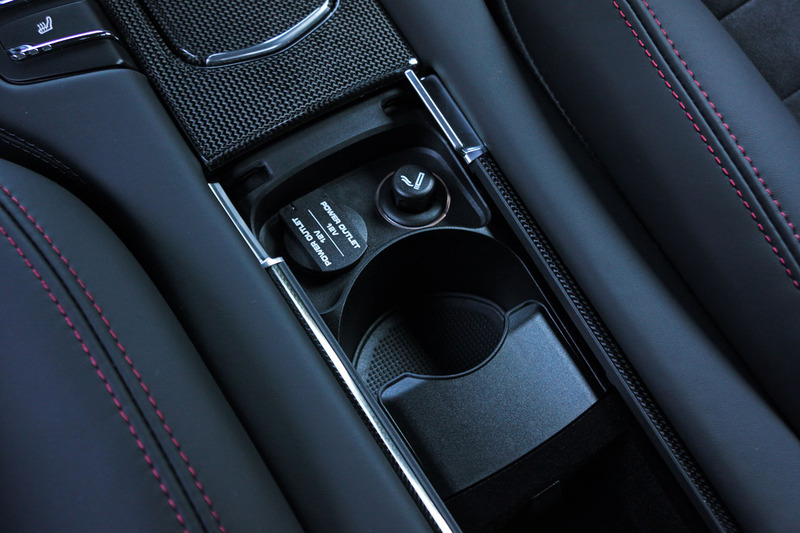 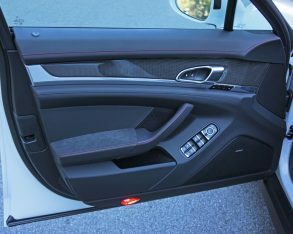 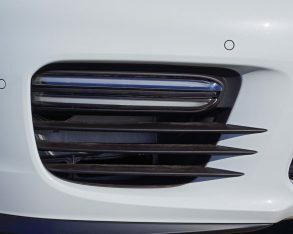 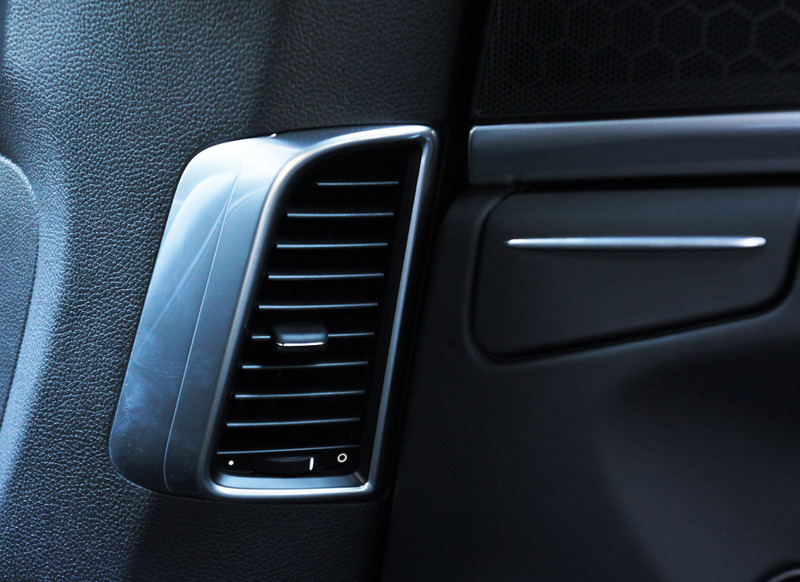 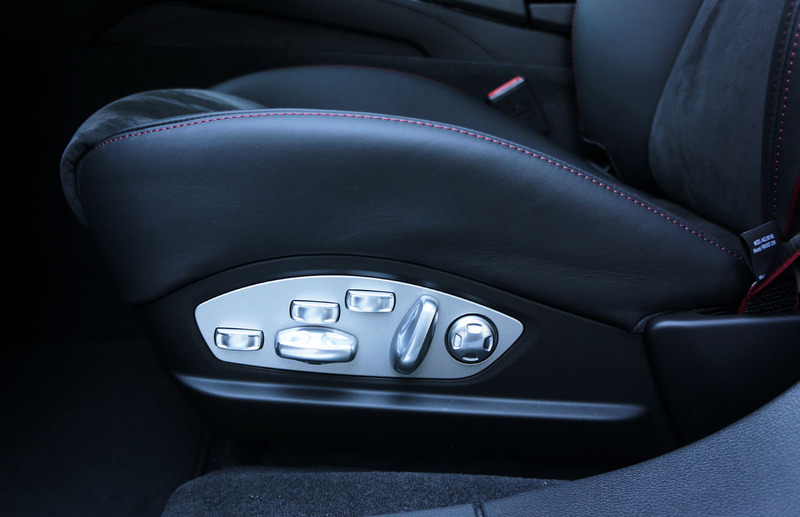 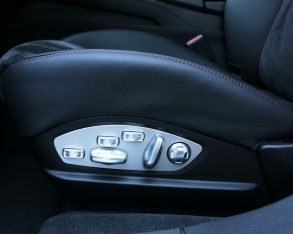 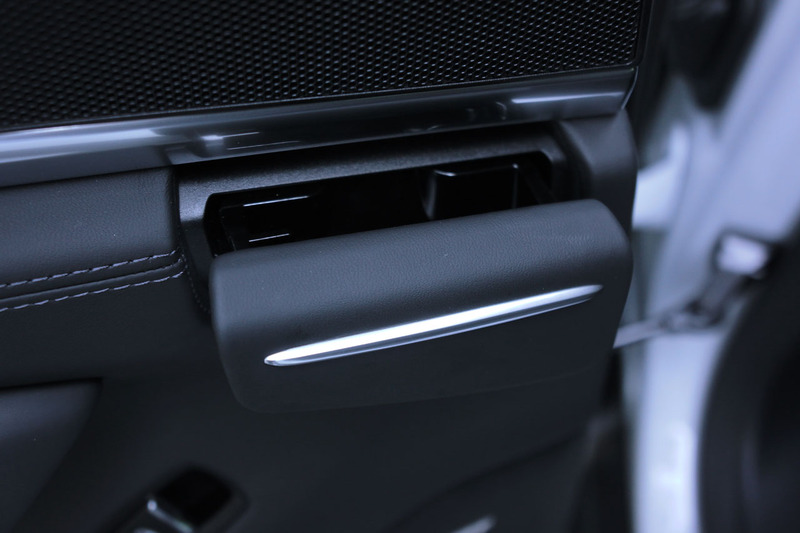 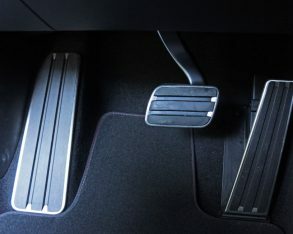 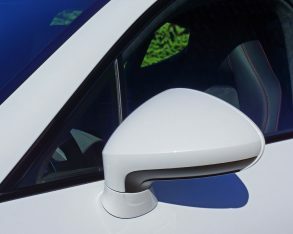 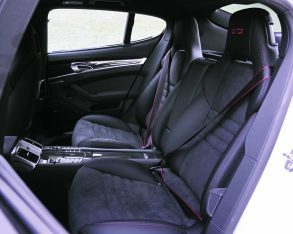 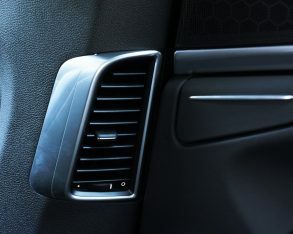 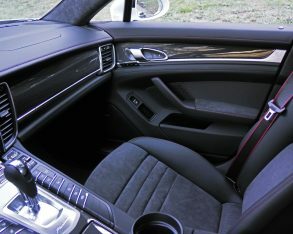 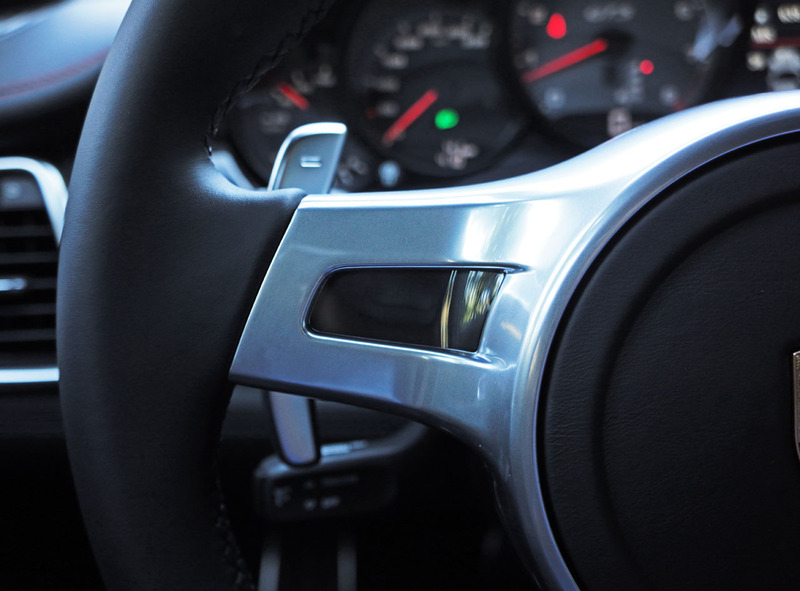 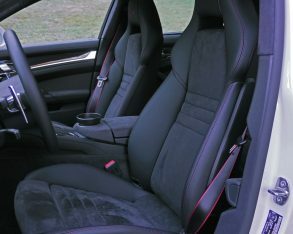 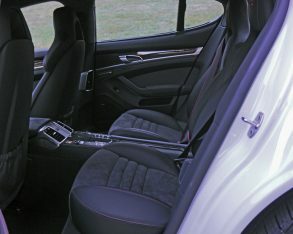 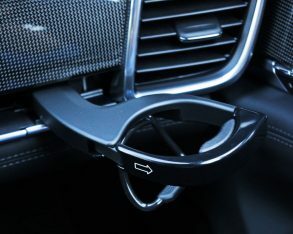 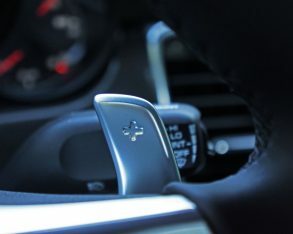 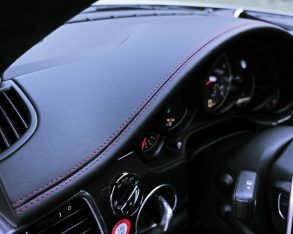 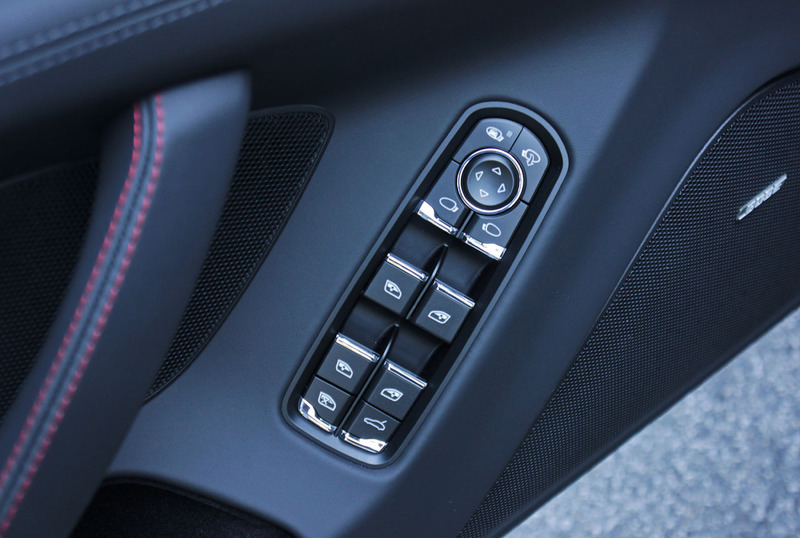 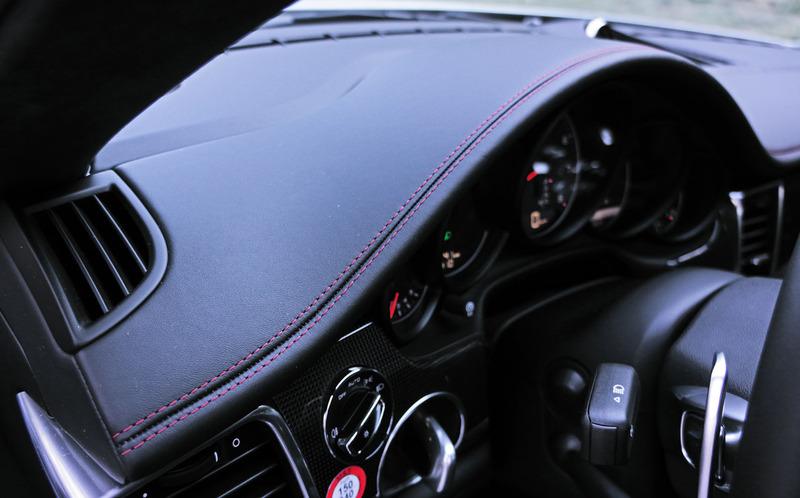 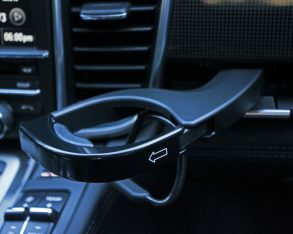 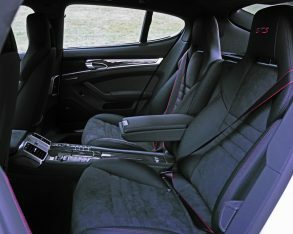 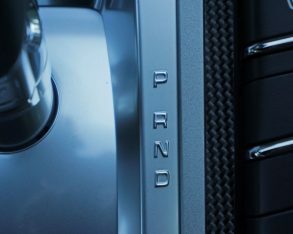 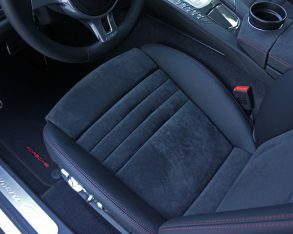 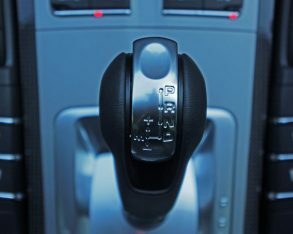 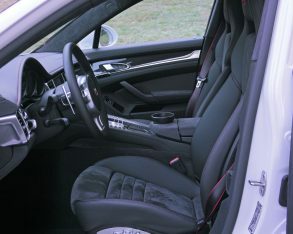 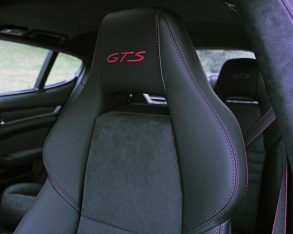 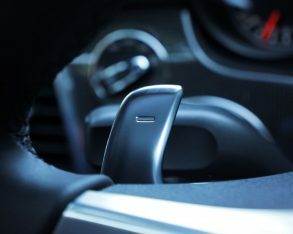 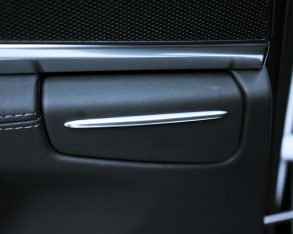 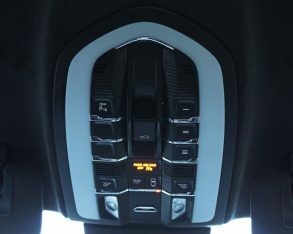 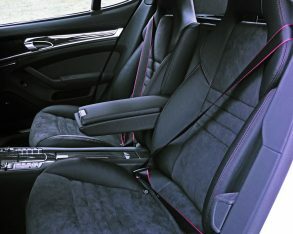 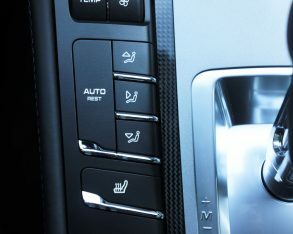 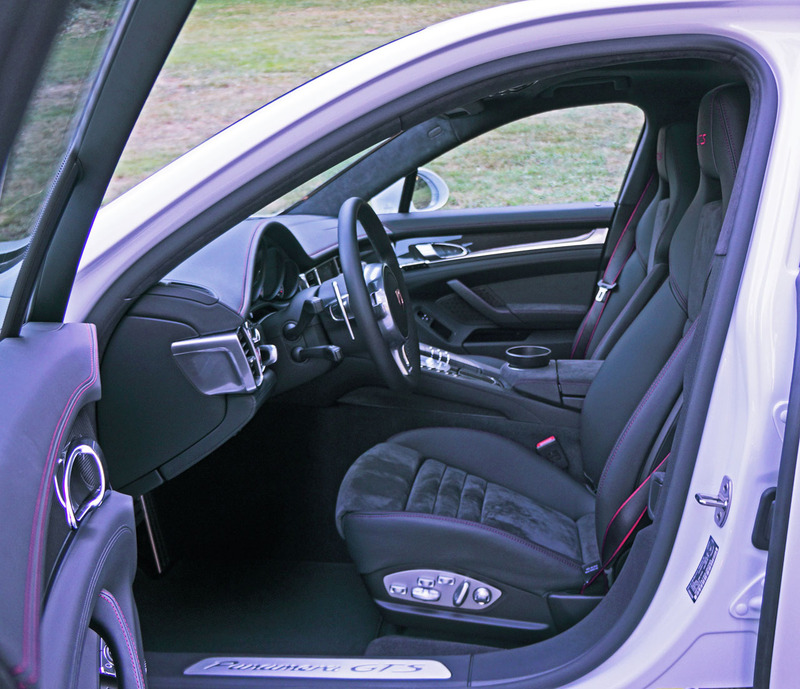 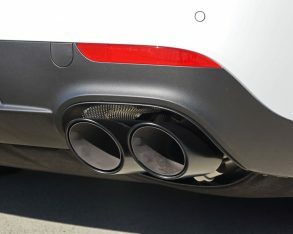 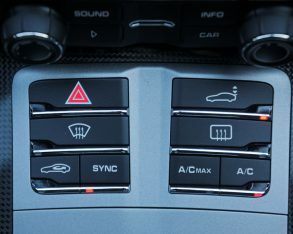 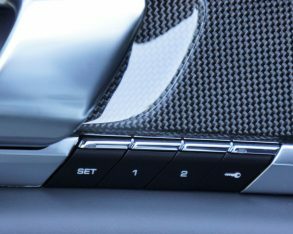 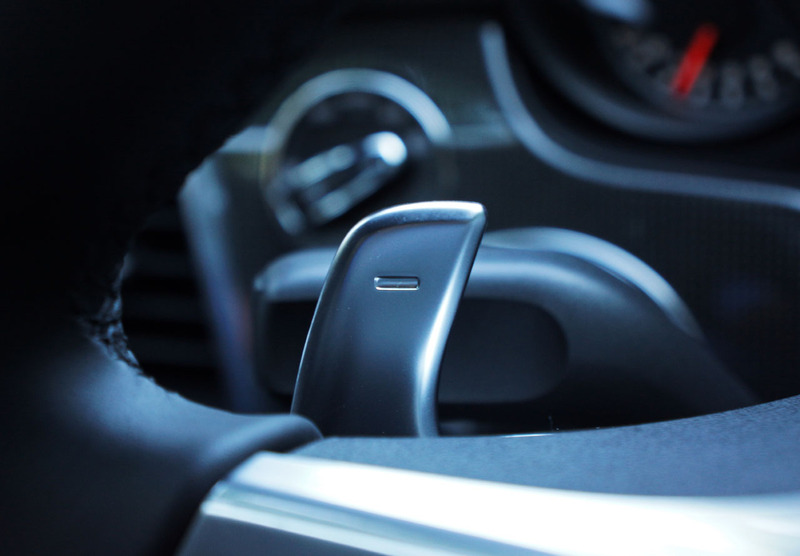 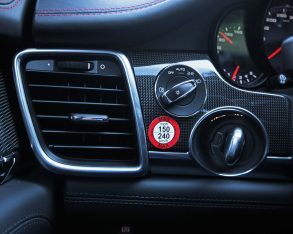 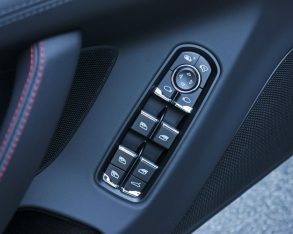 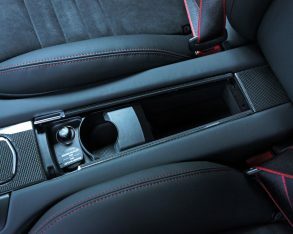 and comfort by continuously adjusting damping force to road conditions and driving style, all controllable via switchgear on the centre console that, unlike most rivals, lets you individually adjust the dampers for a softer setting, per se, while keeping the powertrain set to its most responsive level. 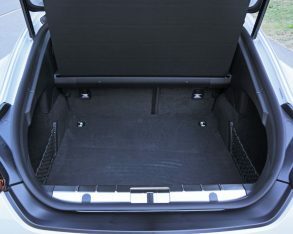 This is ideal for tackling imperfectly paved backcountry roads, the softer setup and more generous wheel travel allowing greater traction. 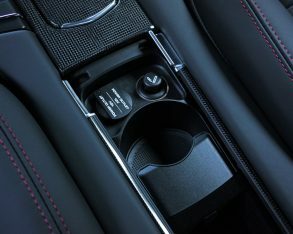 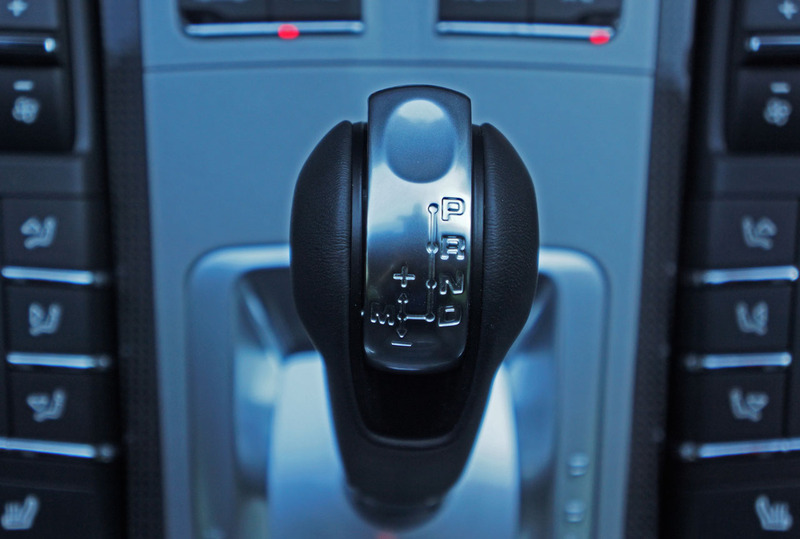 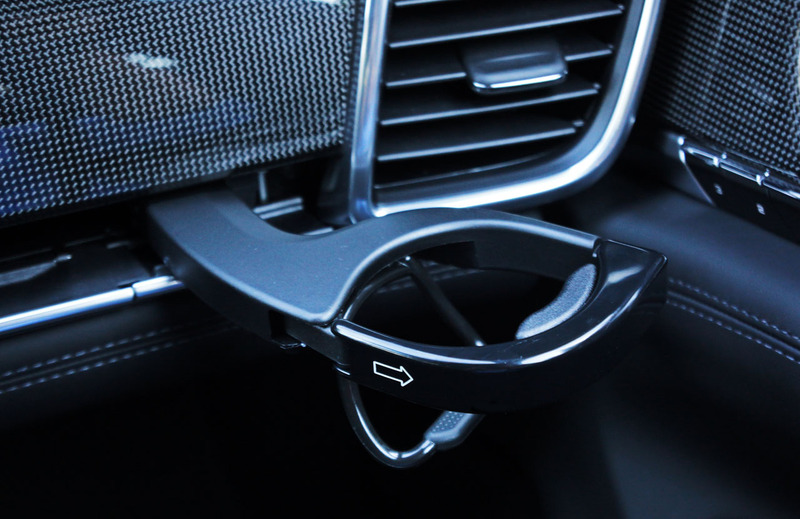 You can set it vice versa if desired, or apply both Sport/Sport Plus modes at once like most systems demand, making for the most versatile ride/handling compromise in its class. 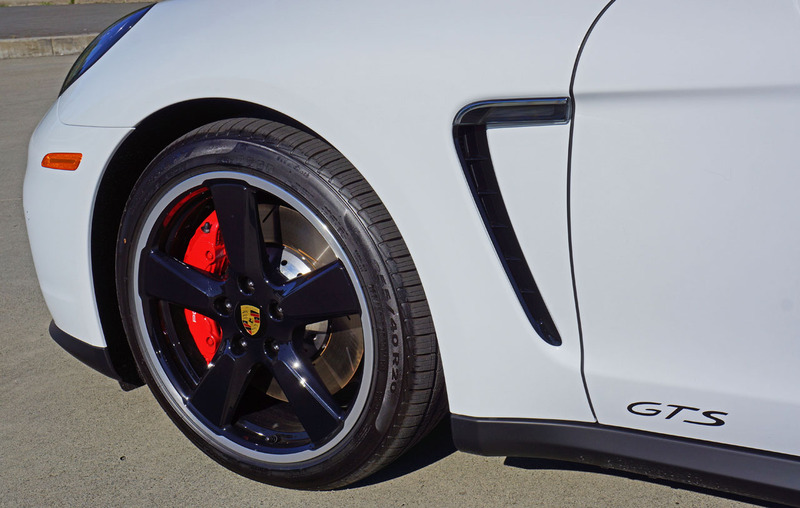 Cinturato P7s providing as much control while scrubbing off speed as grip through circuitous hairpins. 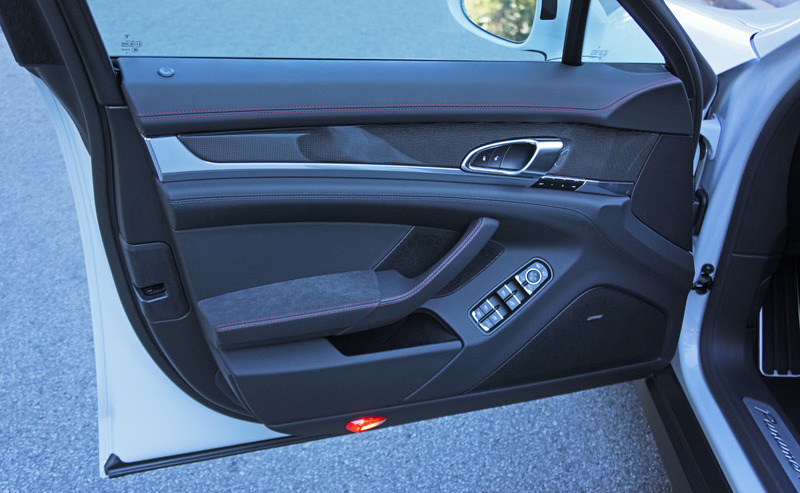 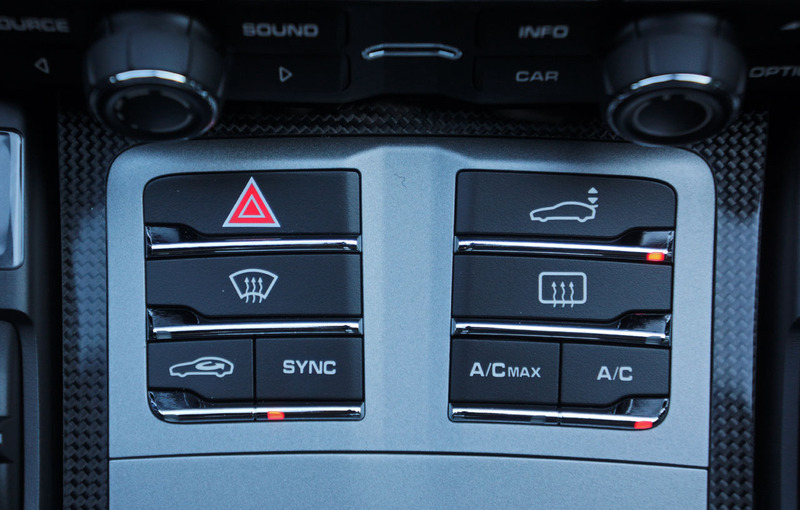 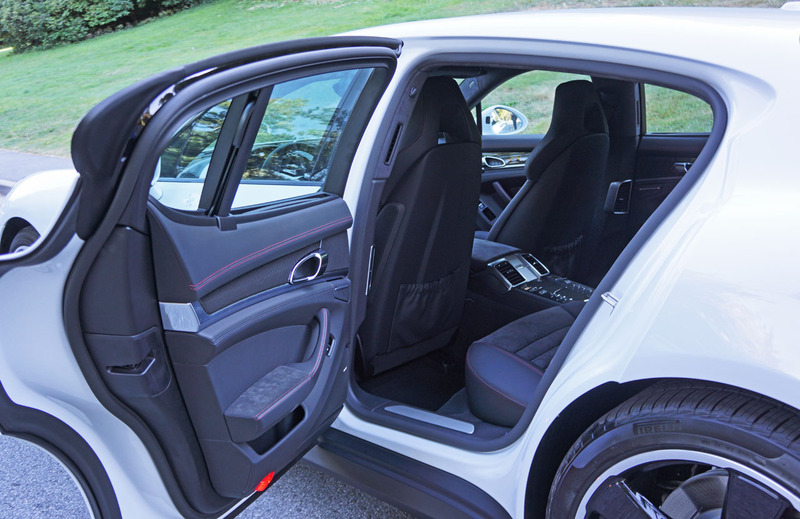 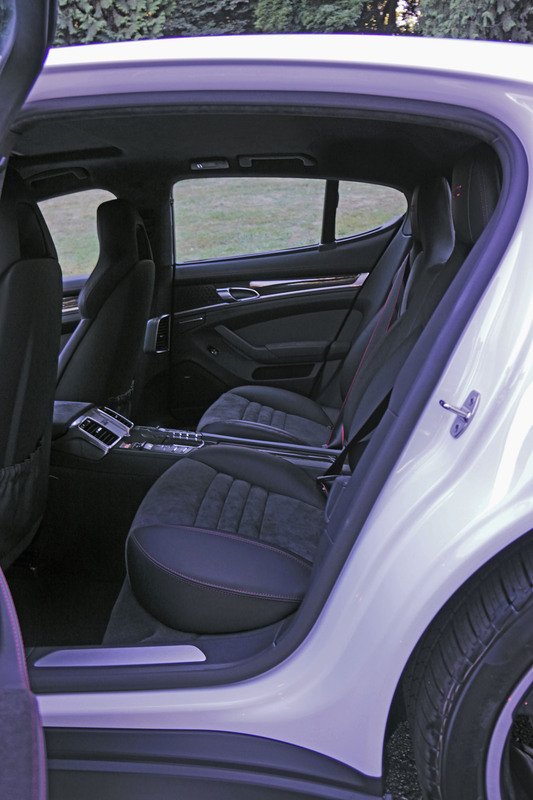 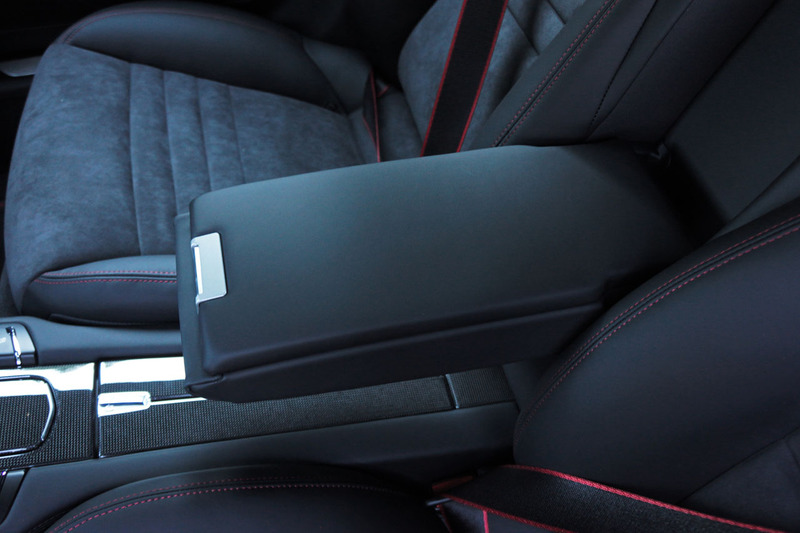 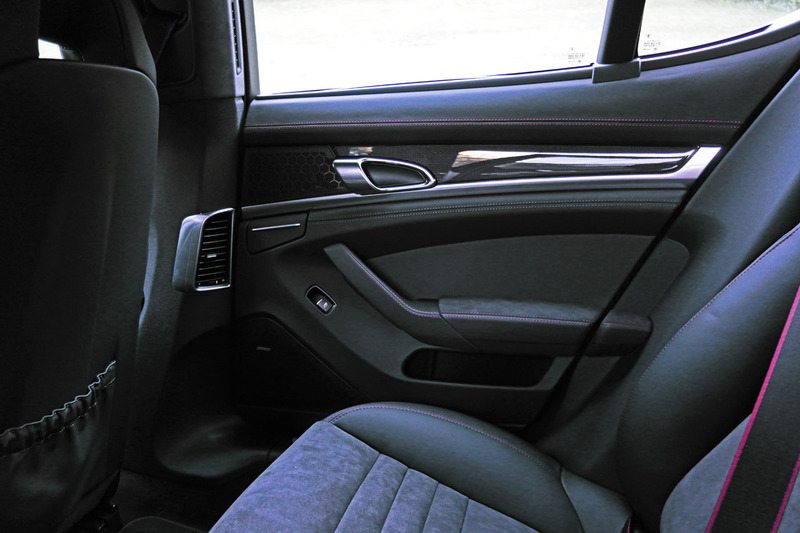 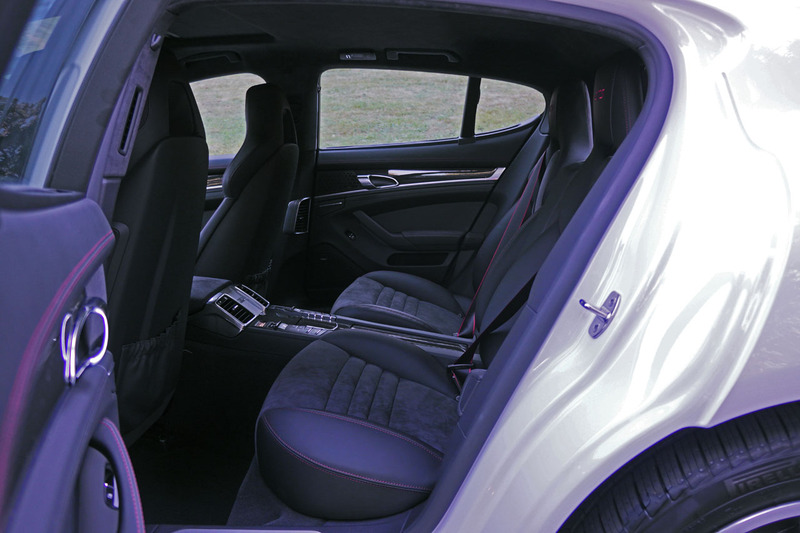 each rear occupant as part of a four-zone upgrade, not to mention optional rear seat heaters. 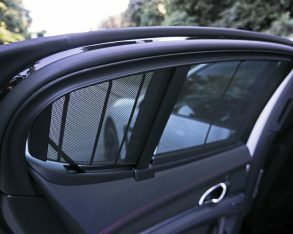 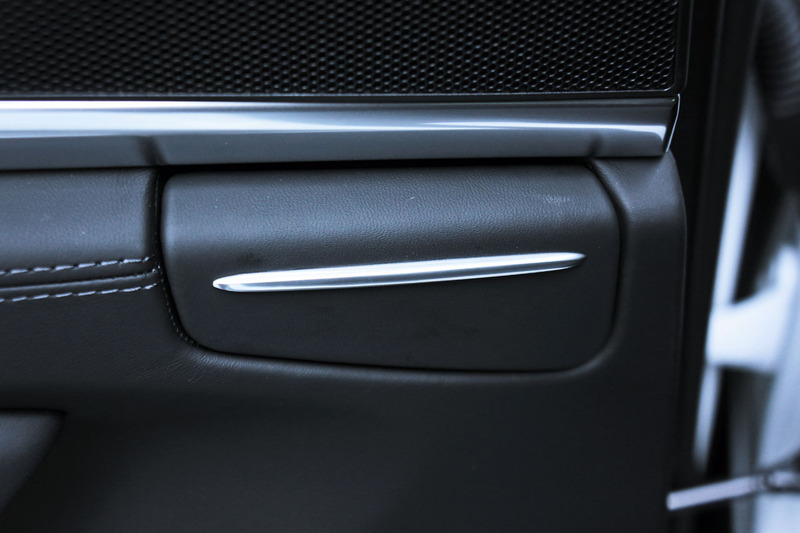 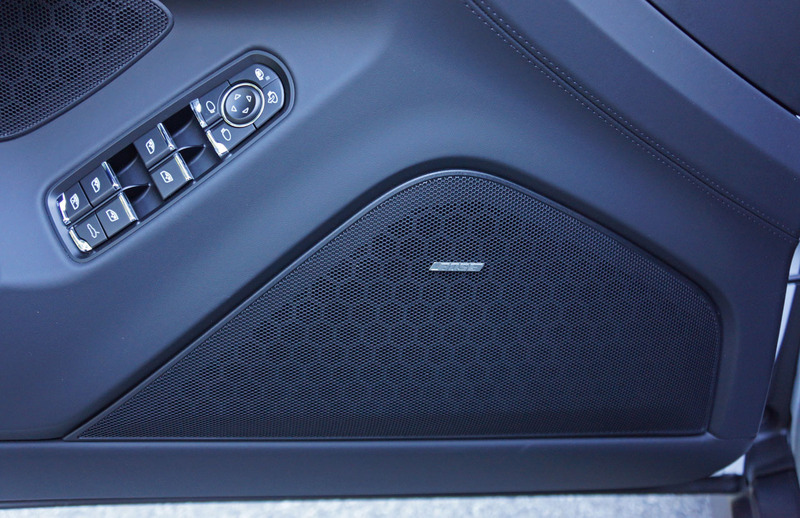 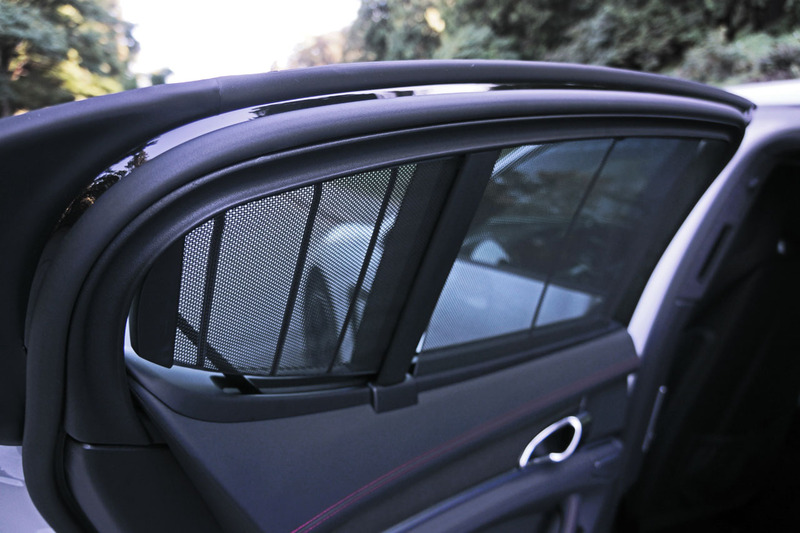 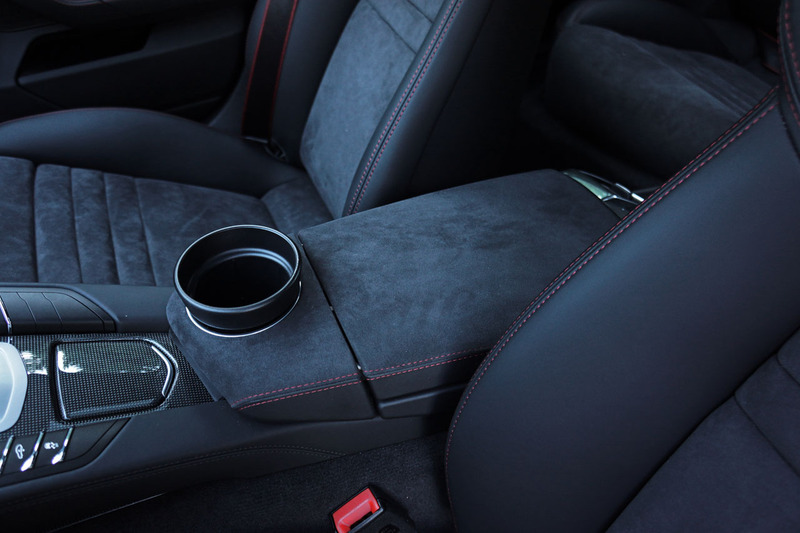 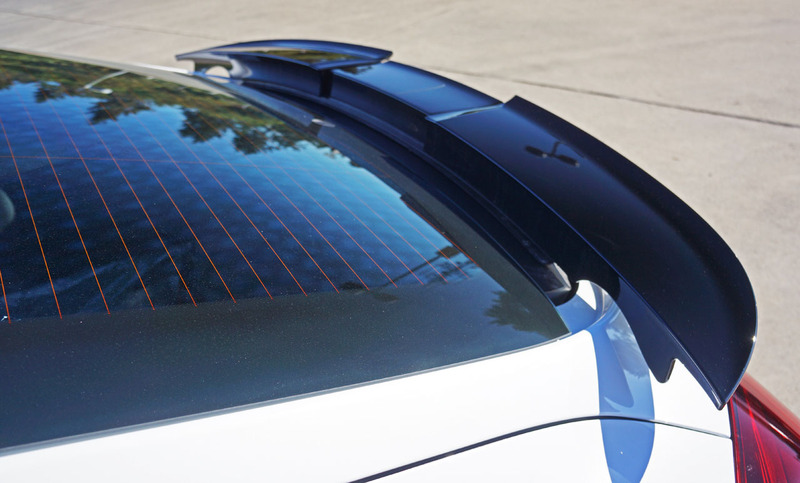 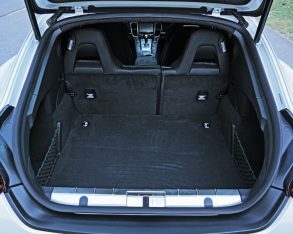 The only negative are smallish cupholders under their carbon-fibre enclosure; well that and the most unwieldy retractable cargo cover cross-member in the industry. 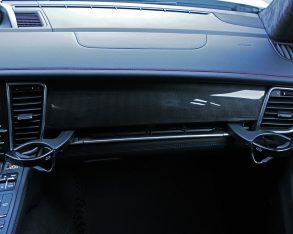 Seriously, whoever came up with this idea must have been an engineer from the chassis department, as it likely doubles as a structural stiffening rear strut tower brace. 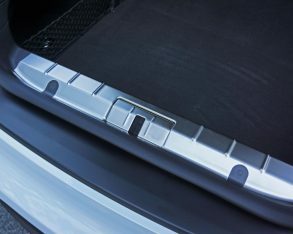 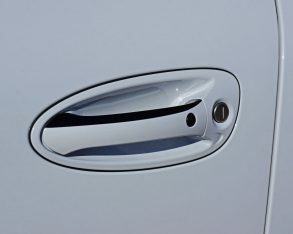 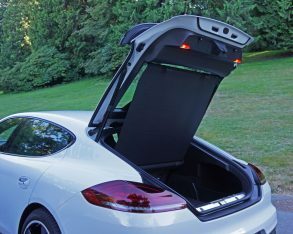 The tonneau works perfectly, even moving out of the way automatically when raising the optional powered liftgate, but the full-metal cross-member is by far the most challenging of its breed to remove, while once separated from the cargo area sidewalls is the heaviest of its type ever created. 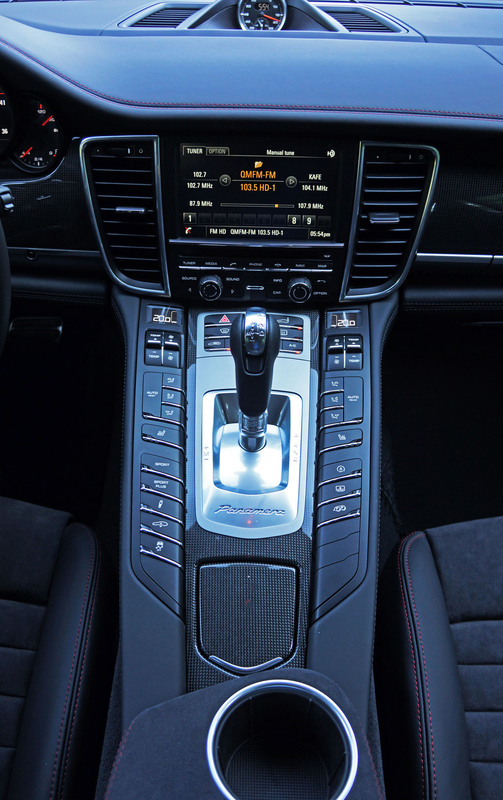 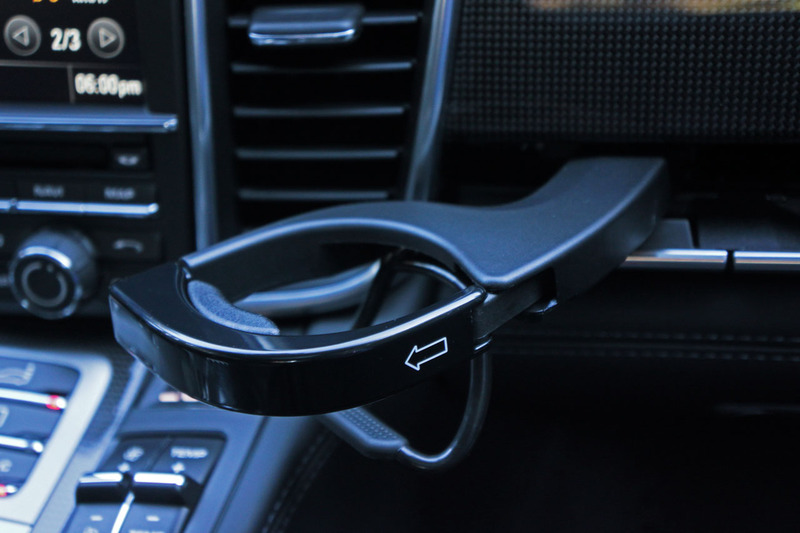 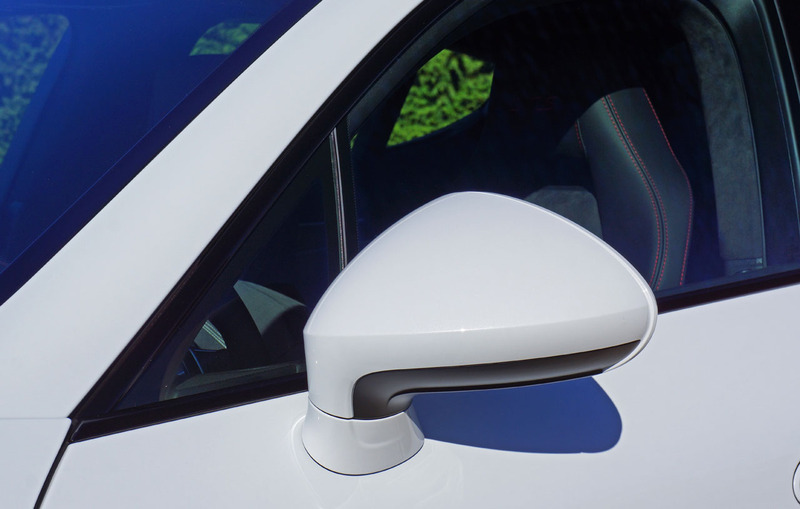 No need for a gym membership when purchasing a new Panamera, simply curl that hunk of metal and you’ll be looking buff in no time. 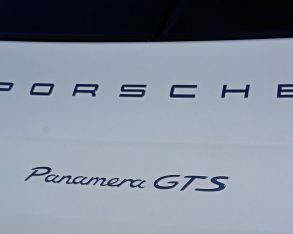 I’m desperately looking for something else to complain about, which of course is in part what I’m paid to do. 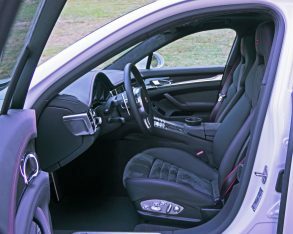 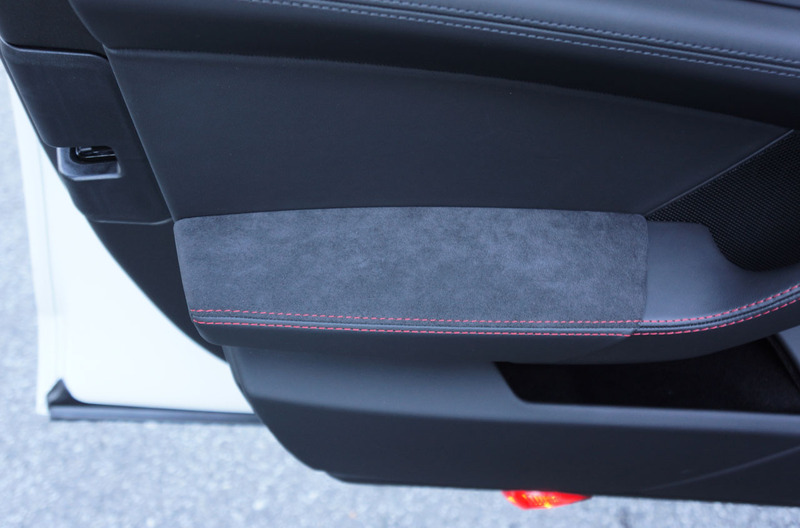 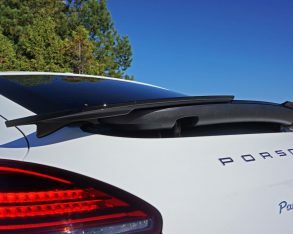 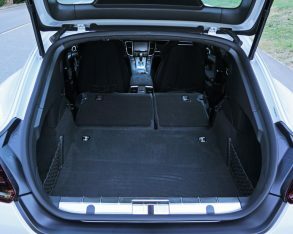 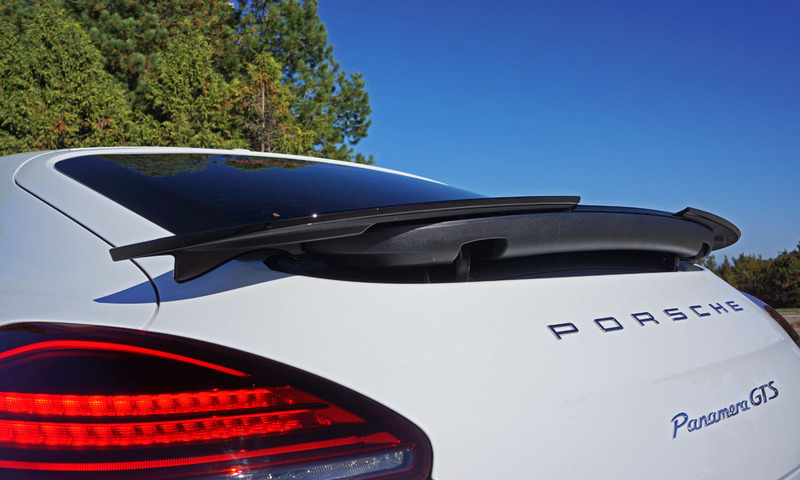 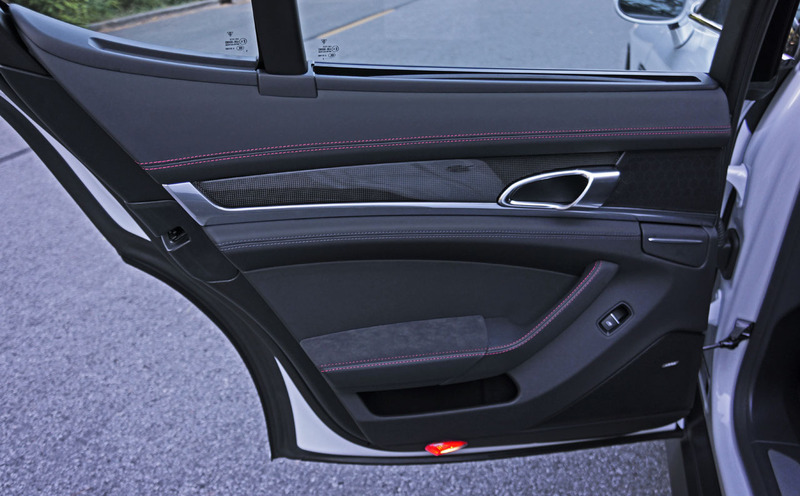 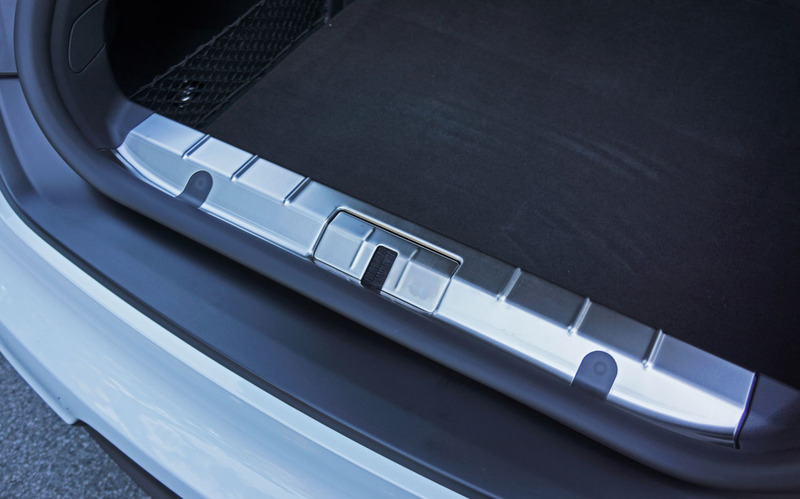 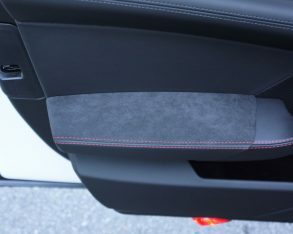 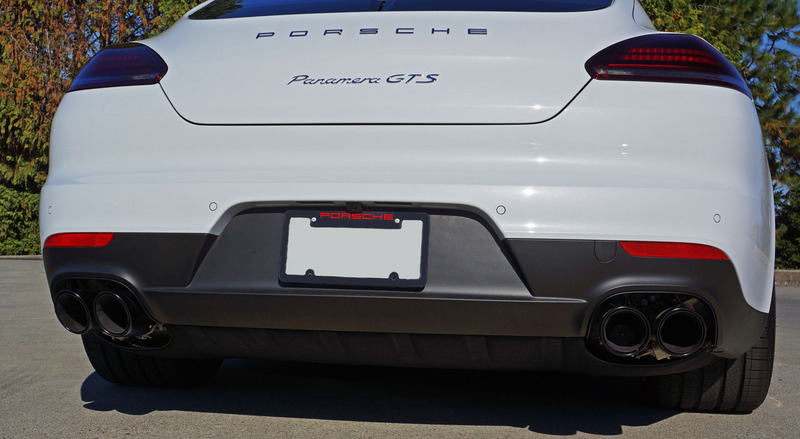 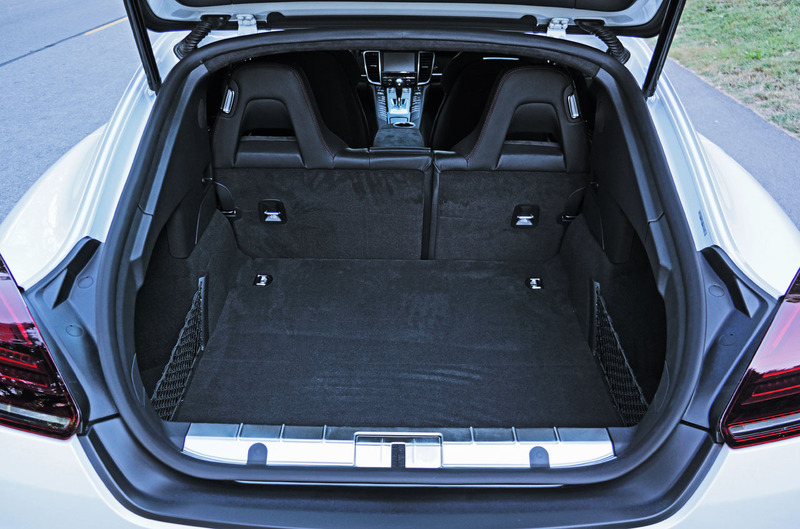 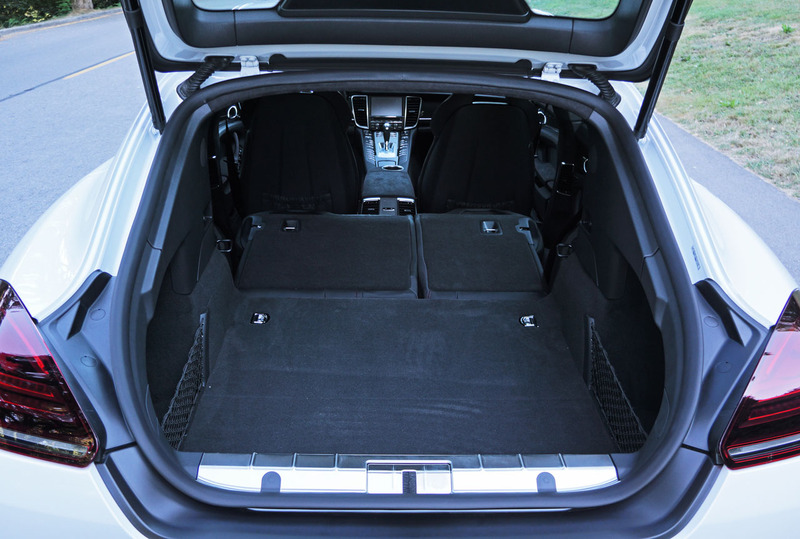 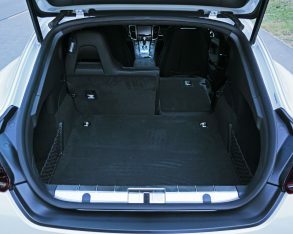 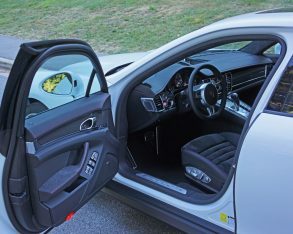 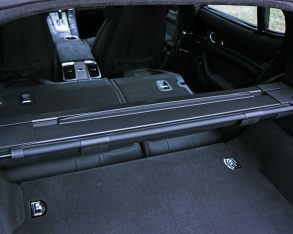 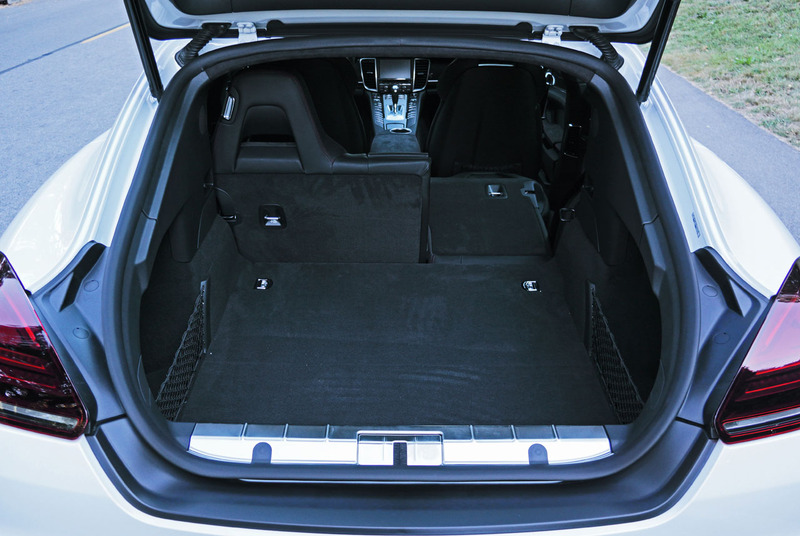 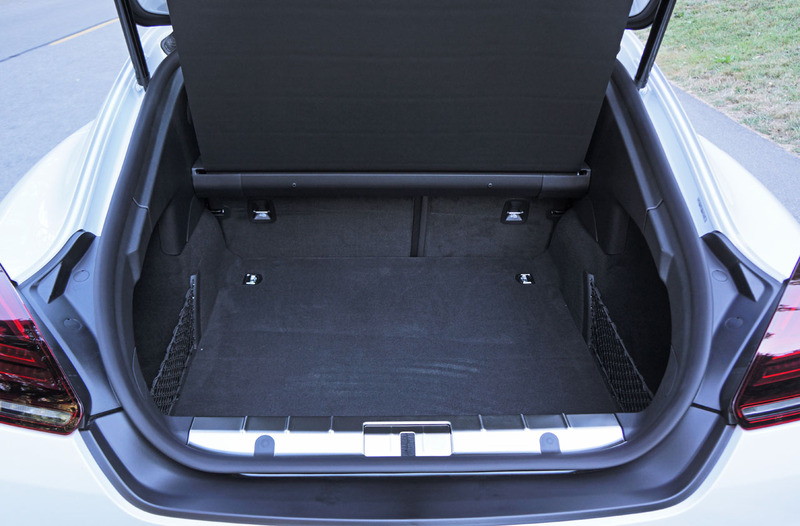 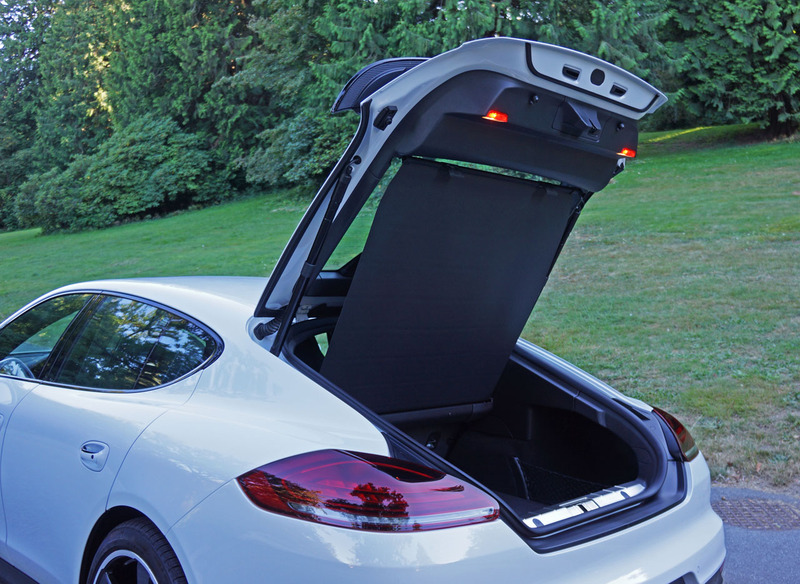 To be fair to Porsche, a search re this issue didn’t stir up a single griping customer, so I’m guessing most Panamera owners leave the cargo cover in place when folding its 60/40-split rear seatbacks down to expand capacity. 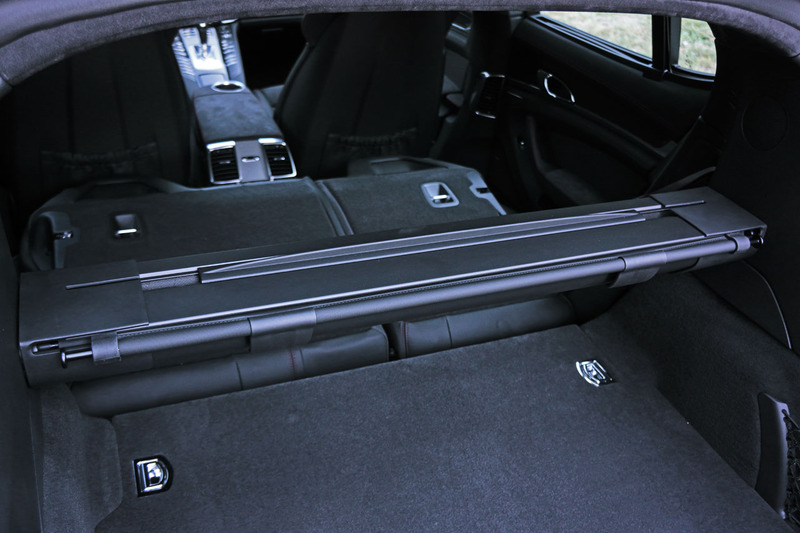 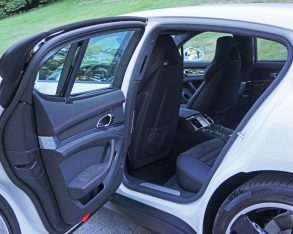 You can stow skis, luggage or any number of large items in back as is, the Panamera amply practical with up to 444 litres (15.7 cubic feet) of hauling space when all seats are in use. 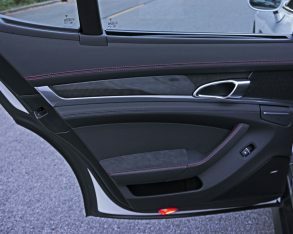 screen behind the rear seats for shading the back glass, front and rear Park Assist sensors, a rearview camera, plus a Premium package that includes the four-zone auto climate control and rear seat heaters mentioned earlier, as well as Power Steering Plus, blindspot monitoring with lane change assist, and more. 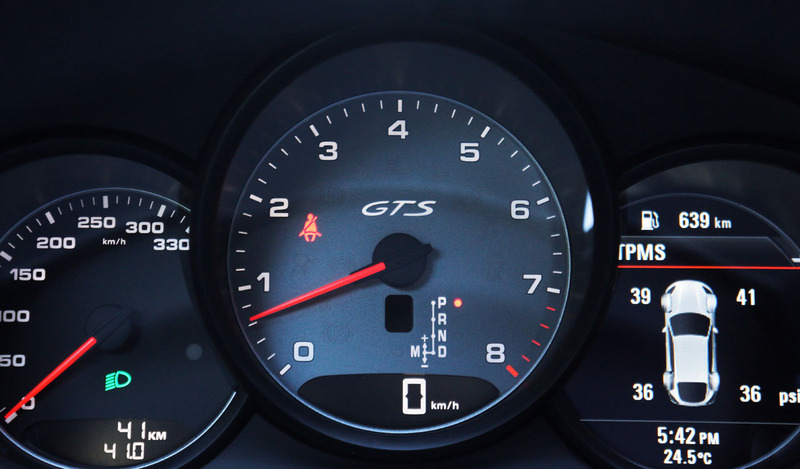 Auto start-stop is standard, coming into play when idling in its most economical mode, and when conservatively driven the GTS is capable of a claimed 15.1 L/100km city, 9.7 highway and 12.1 combined, which is superb when factoring in its substantive size, considerable 1,929-kilo (4,244-lb) curb weight, and blistering performance. 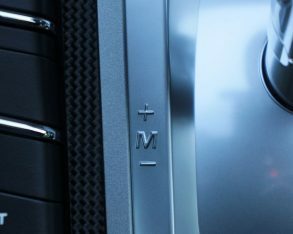 If you want better you should consider the plug-in S E-Hybrid mentioned earlier, which can effectively cost you little more than a trickle on the electrical bill if your daily commute is below 36 km (22.4 miles). 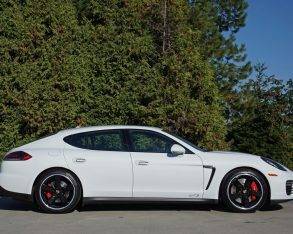 While the electrified powertrain is impressive the Panamera GTS would be my choice, this particular 2016 model year V8-powered version highest on my list. 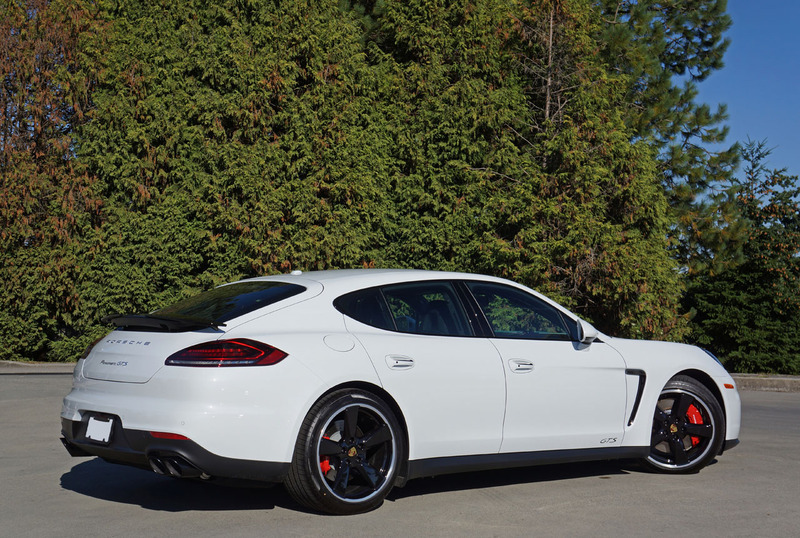 You can wait for the new GTS that’s probably a year or so away, or take delivery of this still new 2016 model right away, while saving a cool $5,000 right off the top of its $129,400 base price, no dickering required. 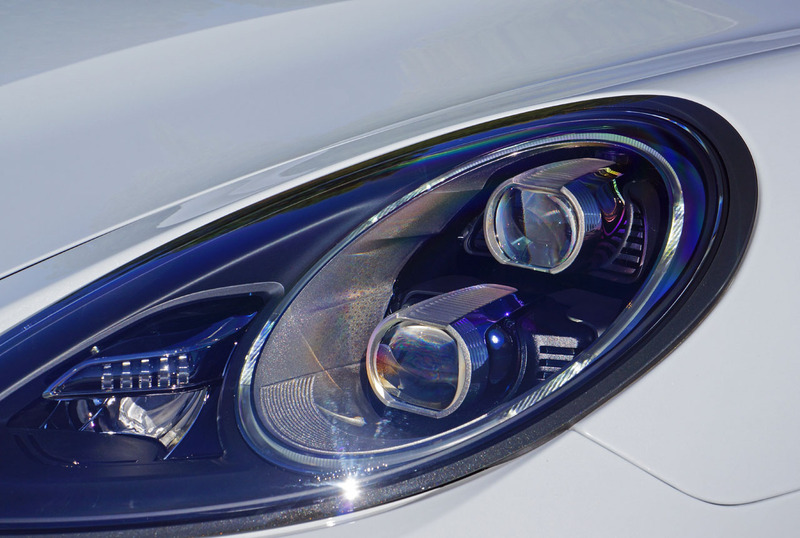 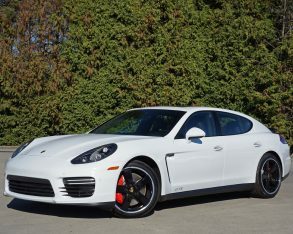 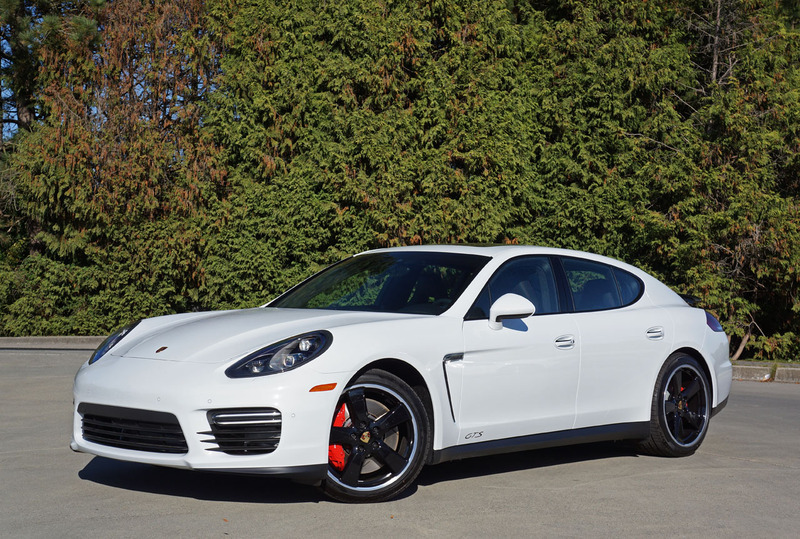 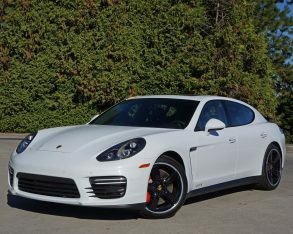 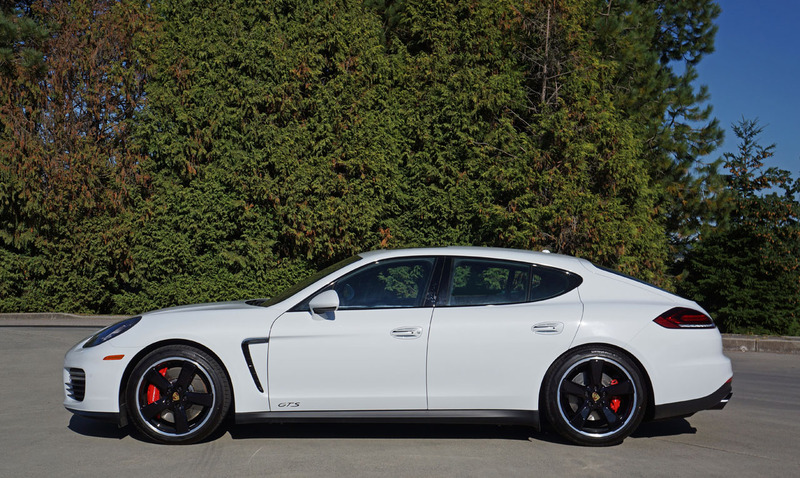 If you’ve long had your eye on a Panamera this is too good an offer to pass up.